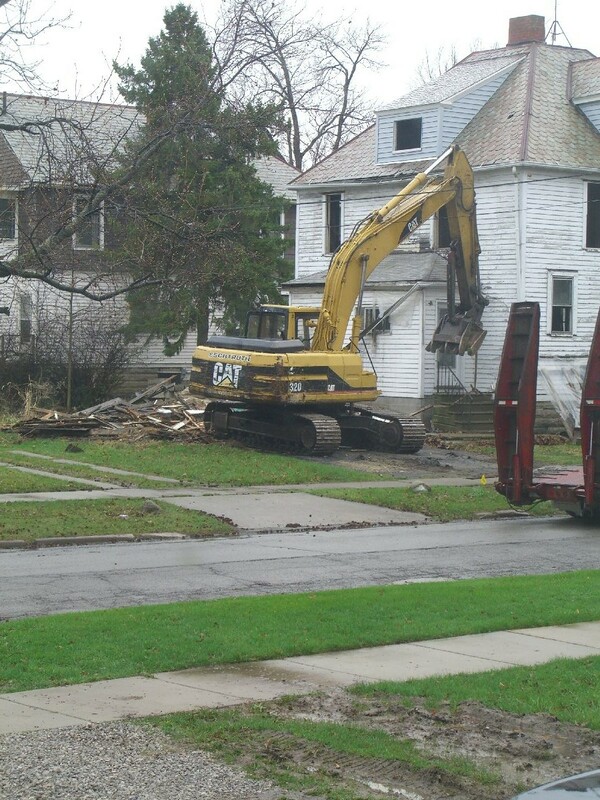 It’s an easy title, and I’m lazy right now. 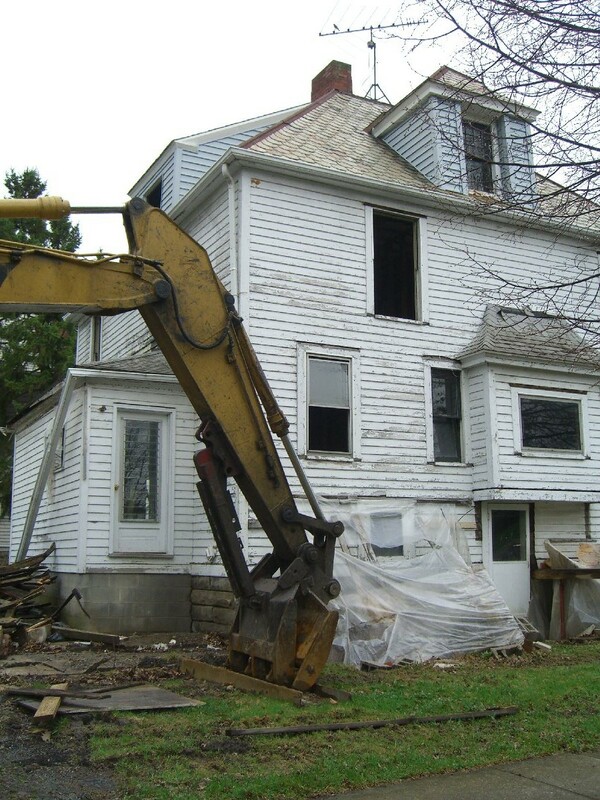 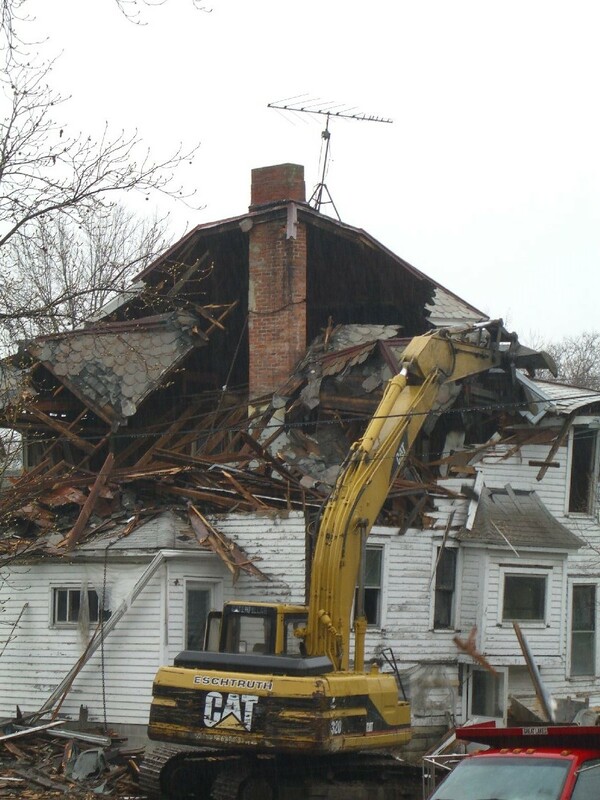 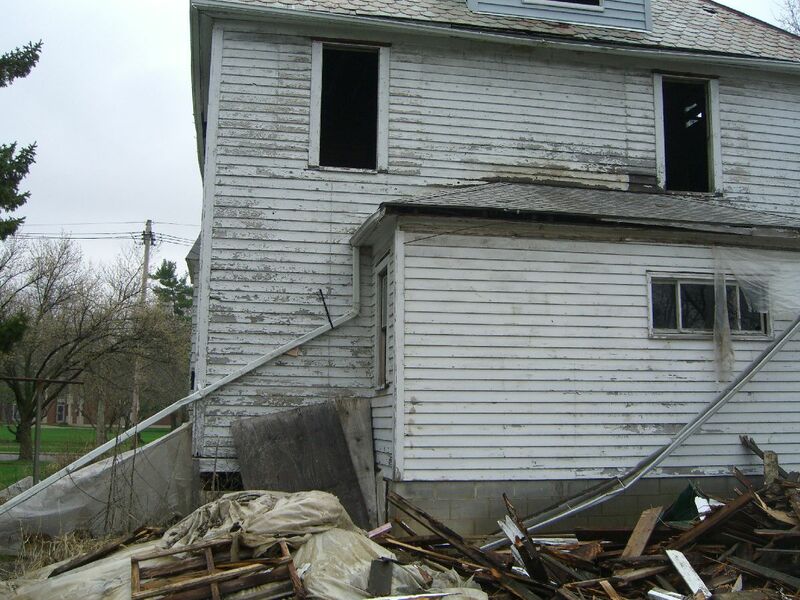 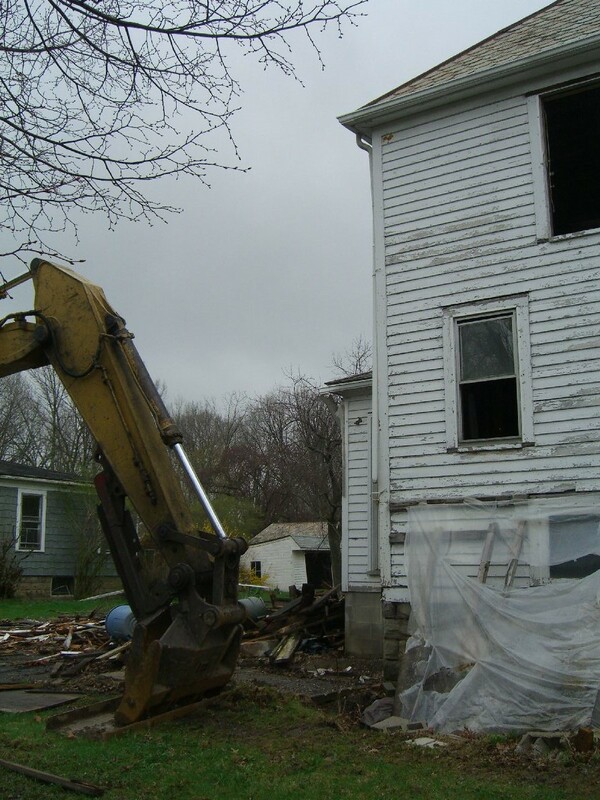 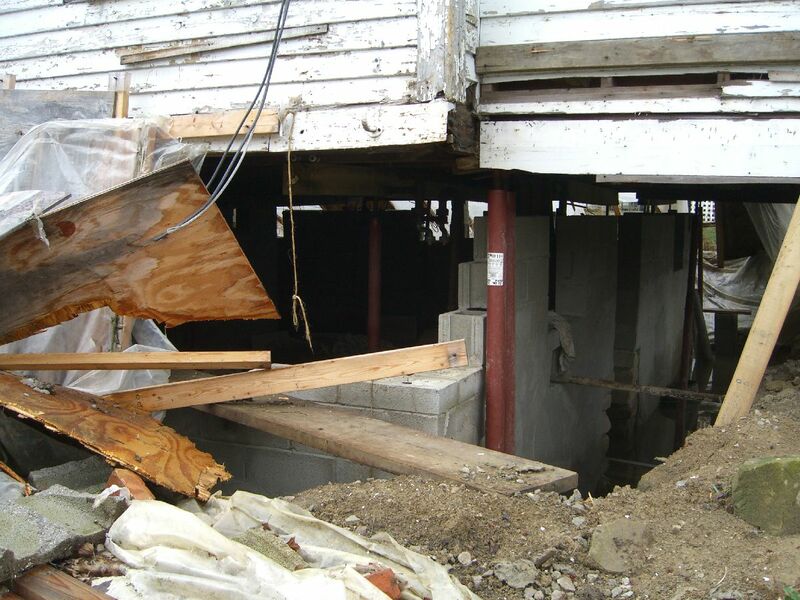 A house across the street was under full renovation – interior stripped back to studs, entire structure floating on jacks while a full basement with new, taller foundation was built. 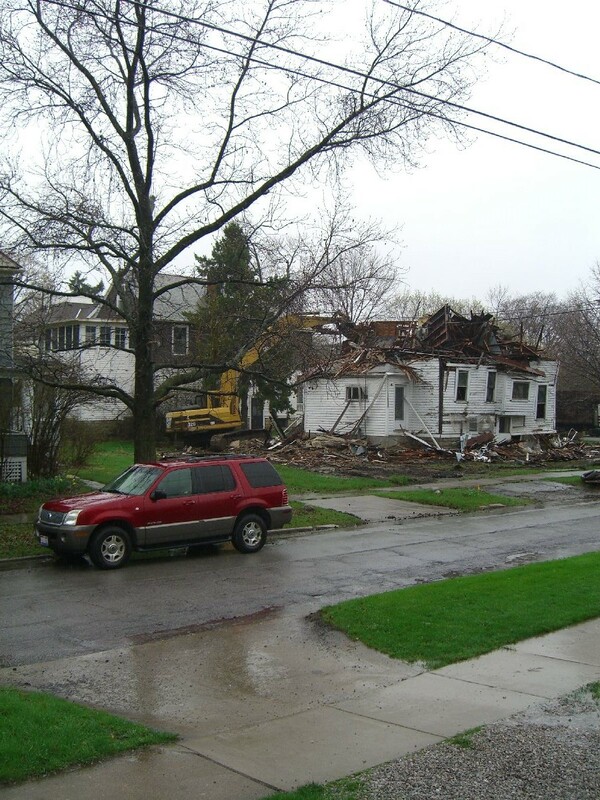 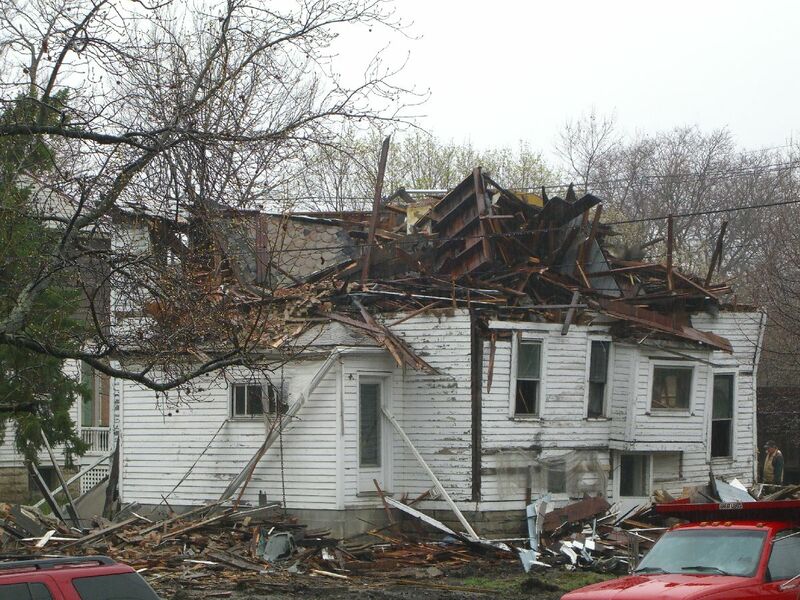 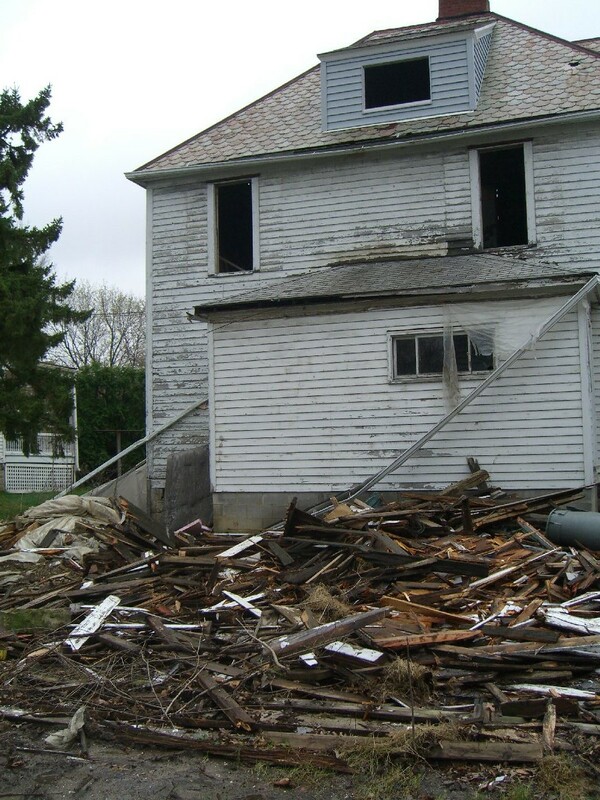 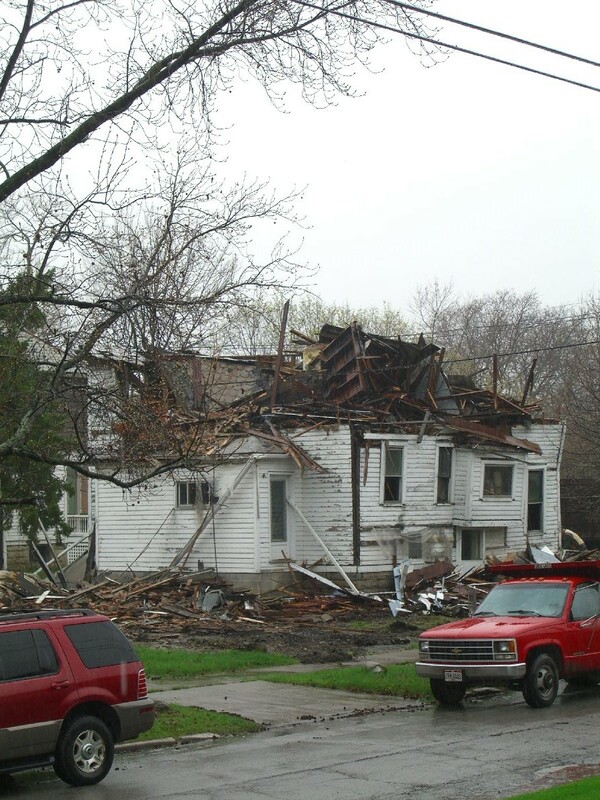 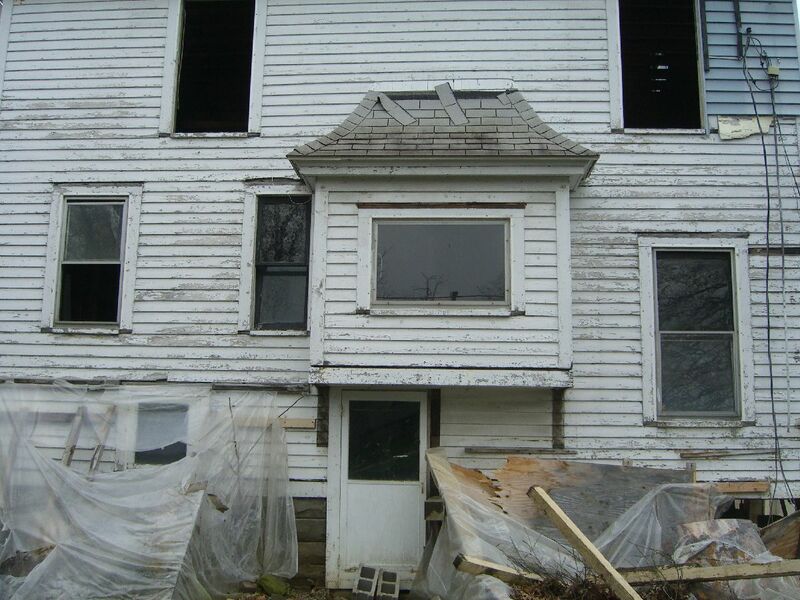 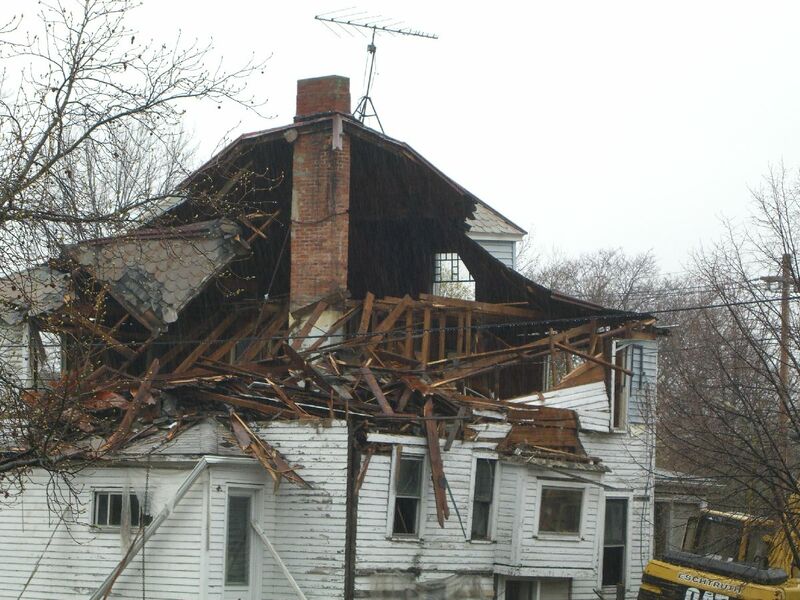 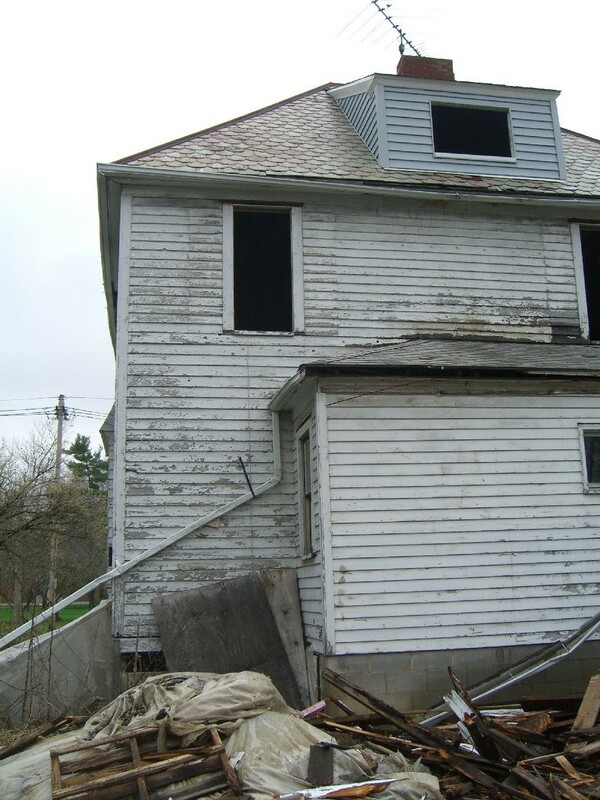 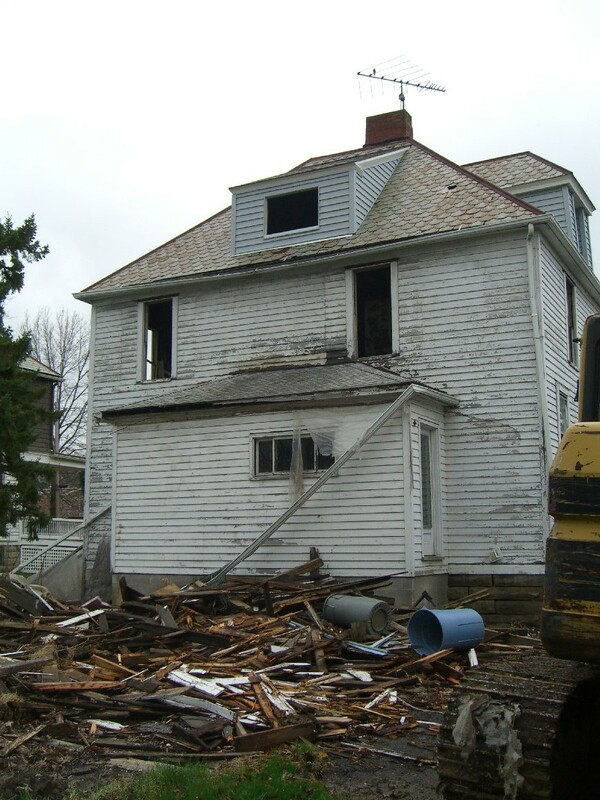 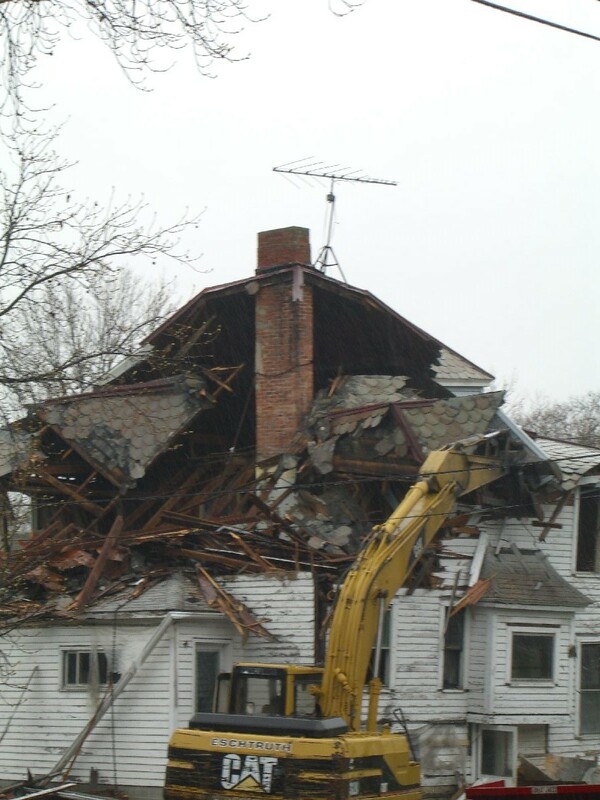 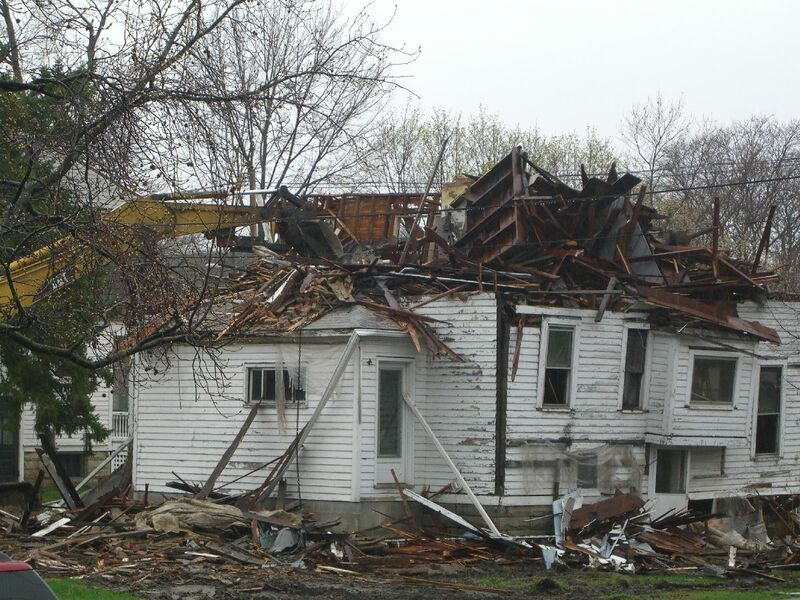 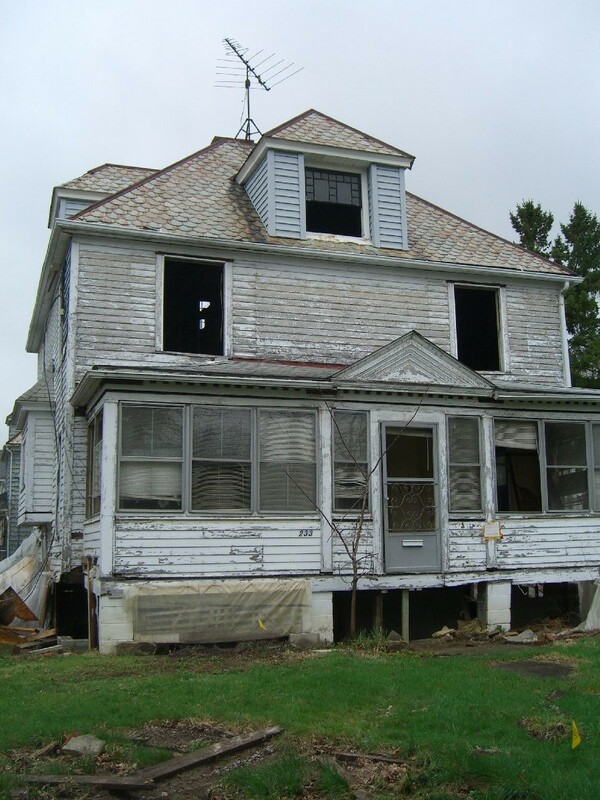 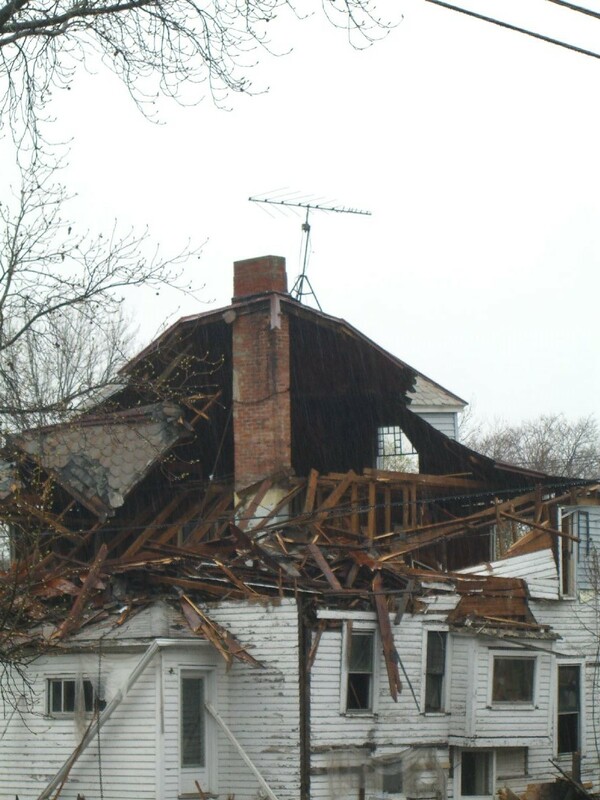 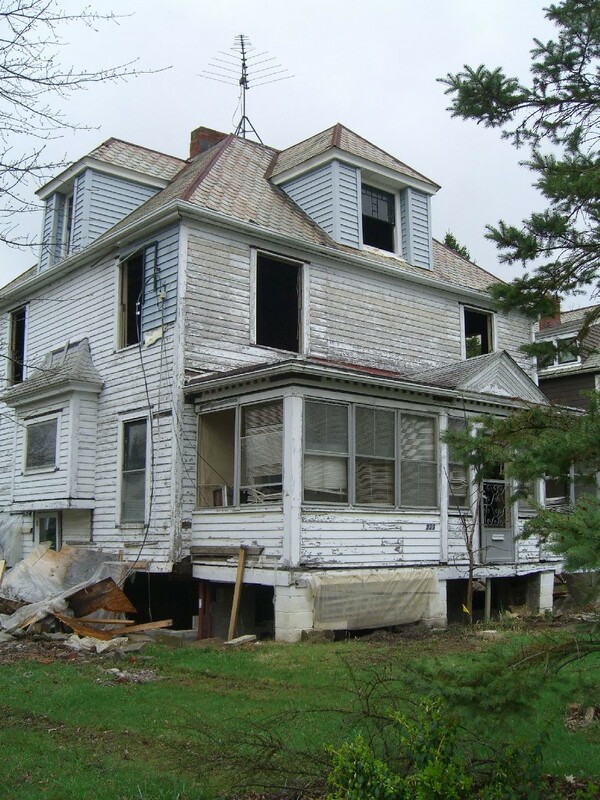 Unfortunately the owner – Joe Orbeck, a great man with which to have a conversation, about houses or life – was sidelined for a long while with illness, and the house shell was eventually condemned. 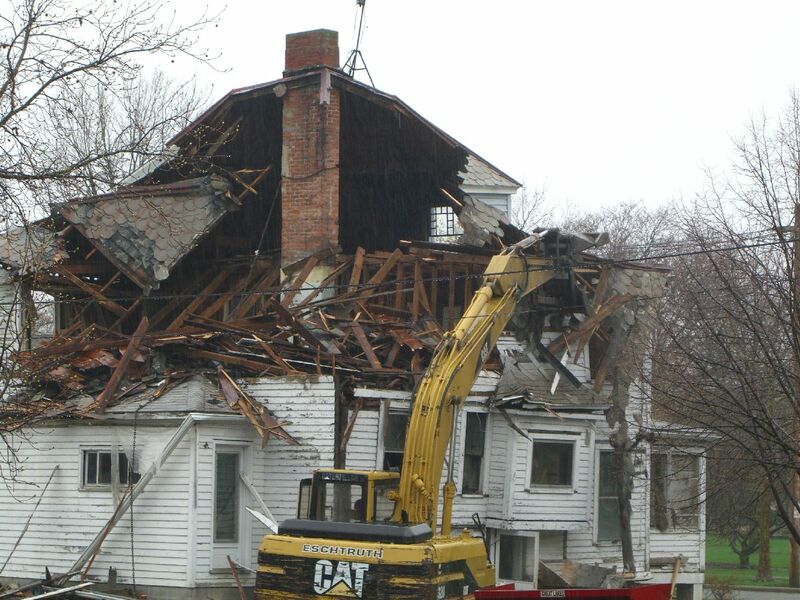 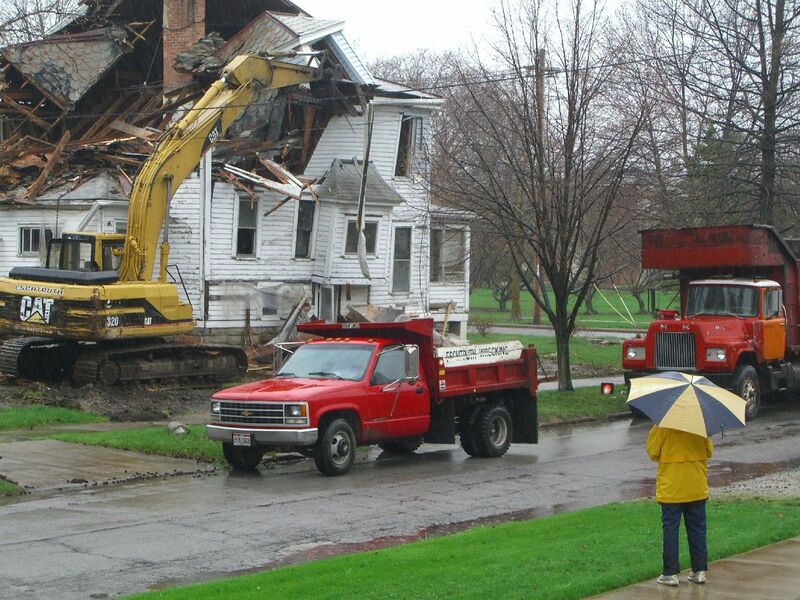 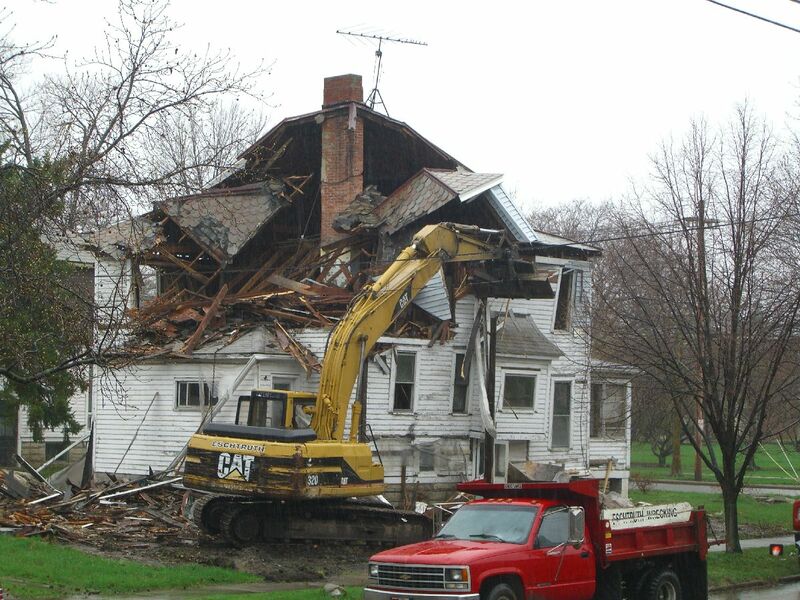 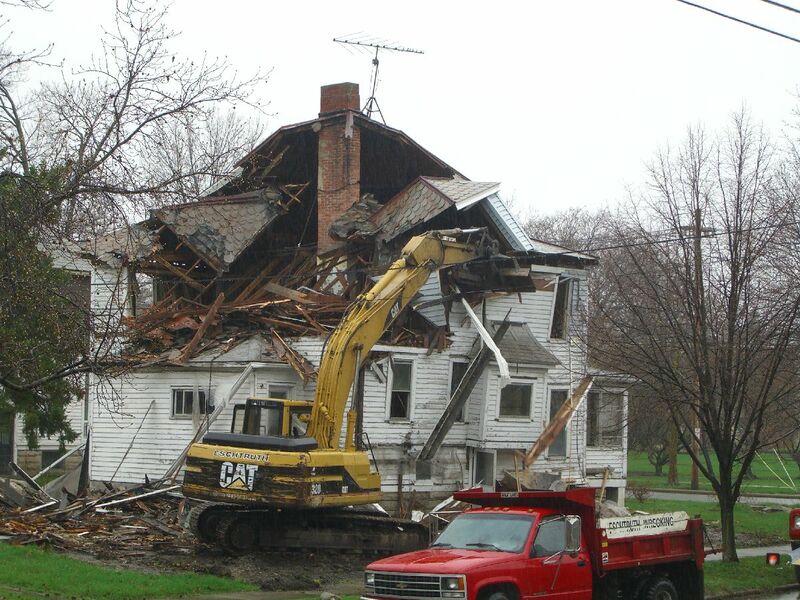 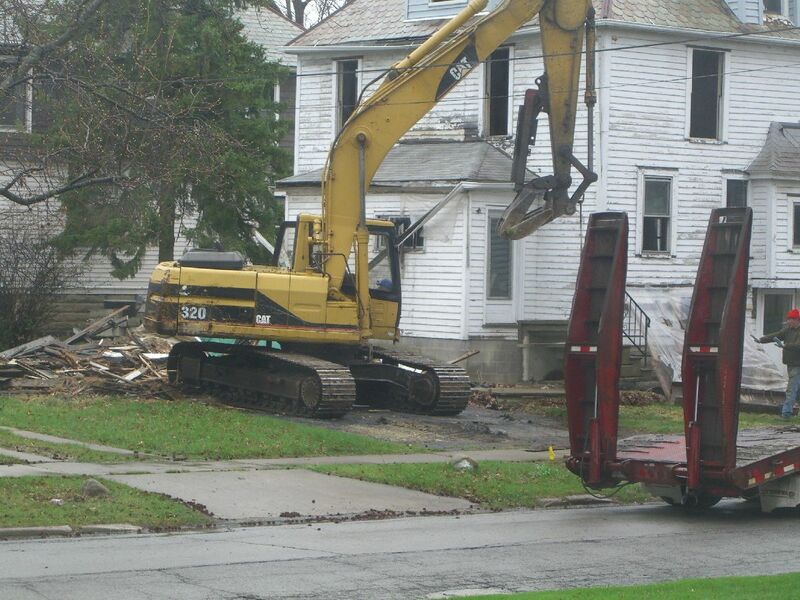 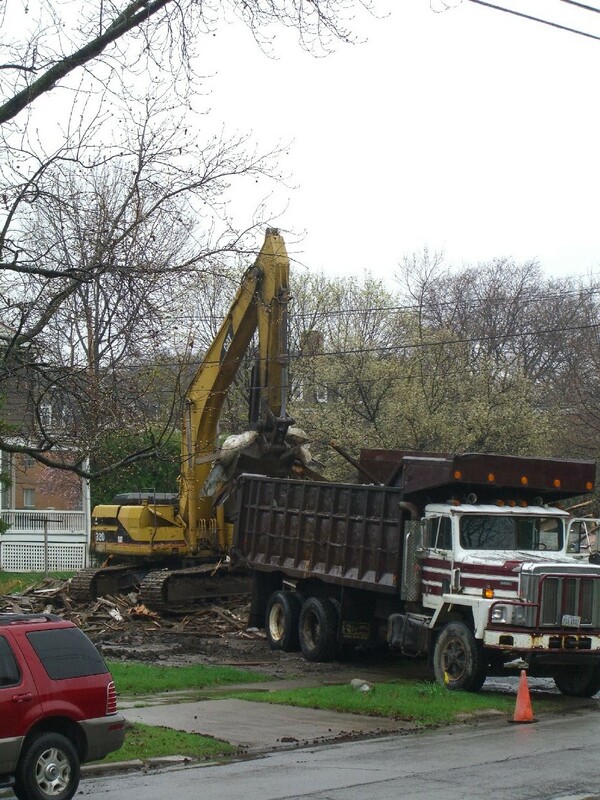 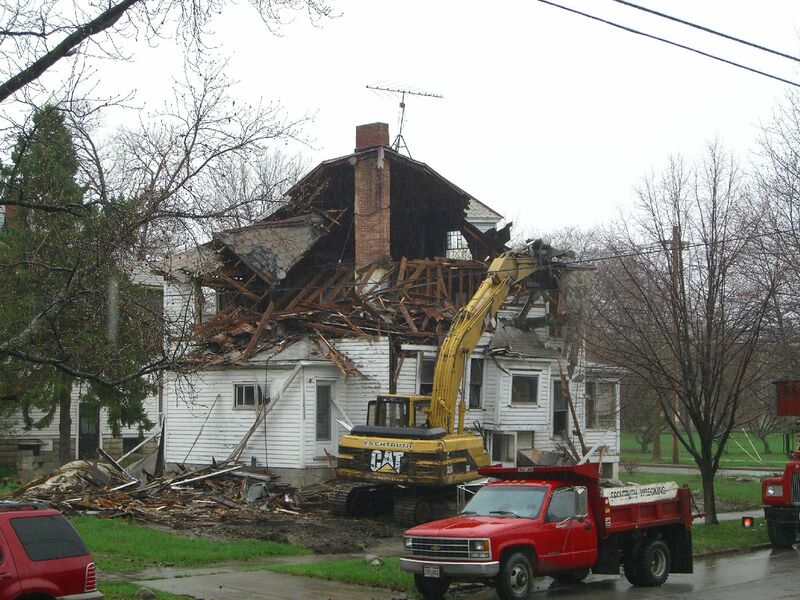 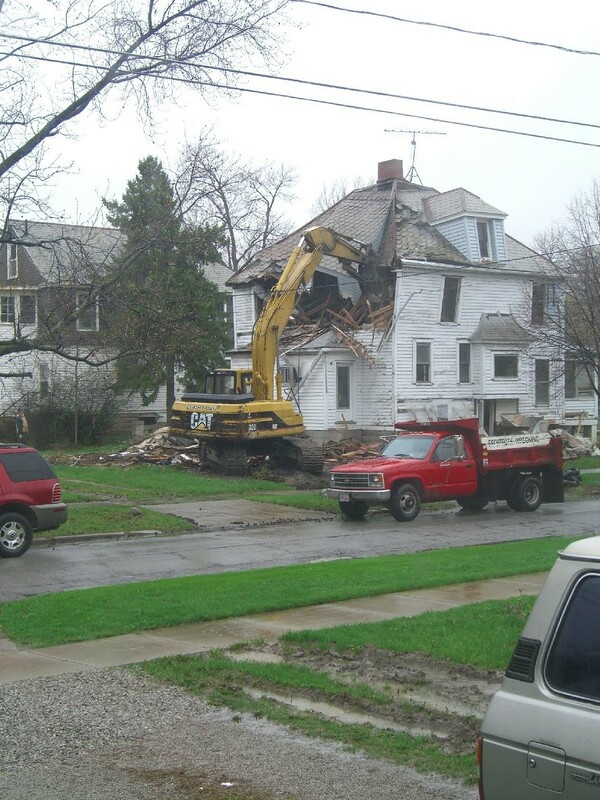 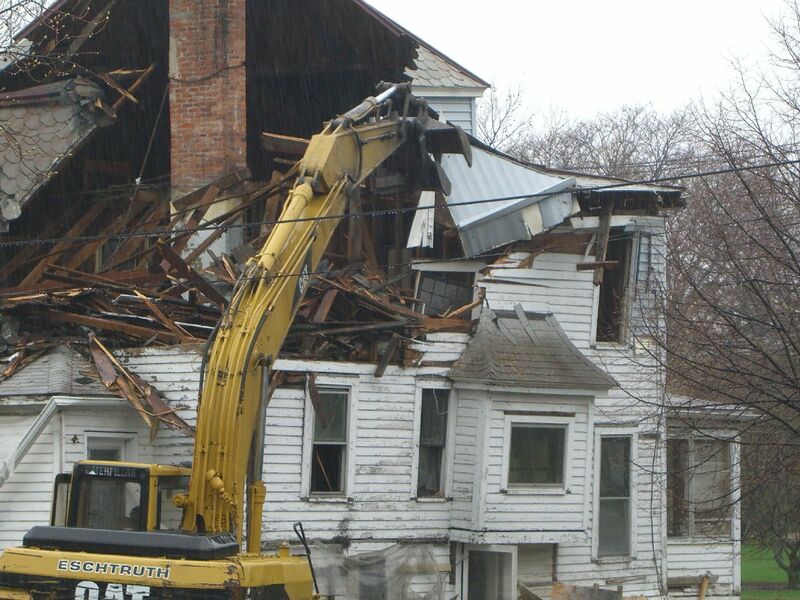 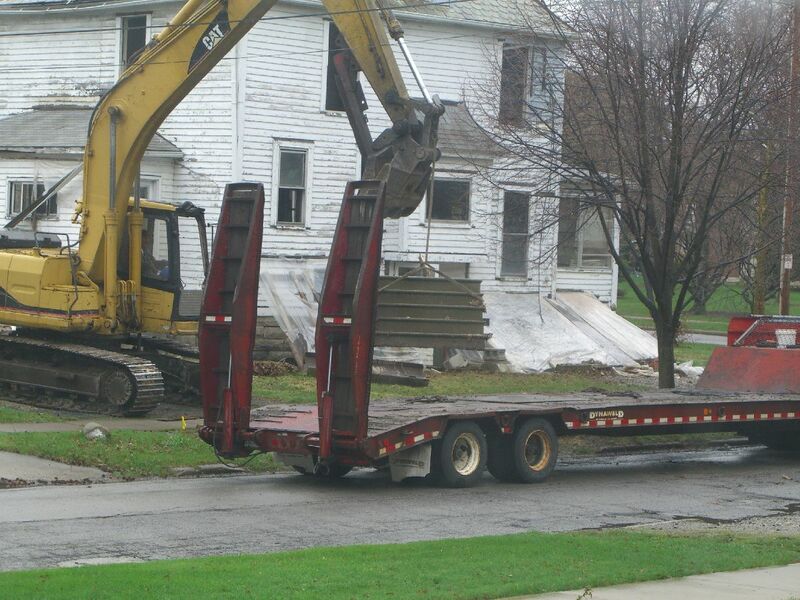 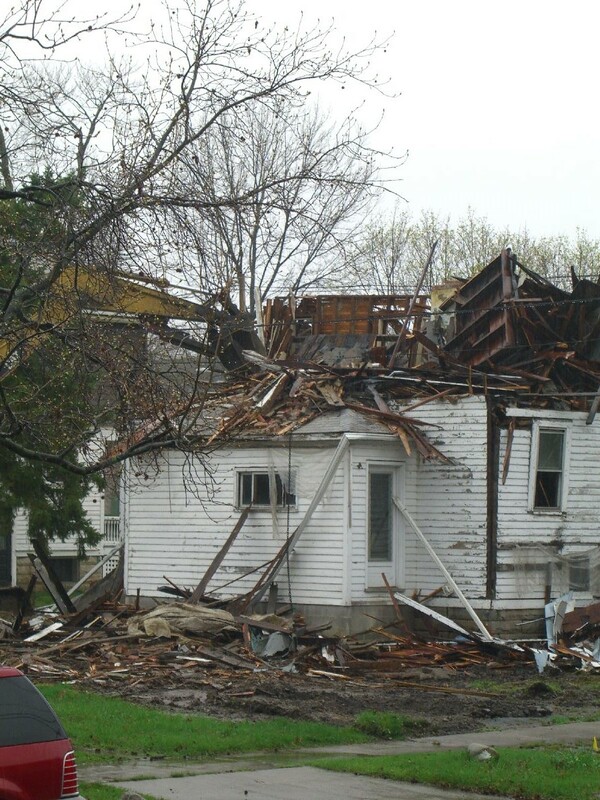 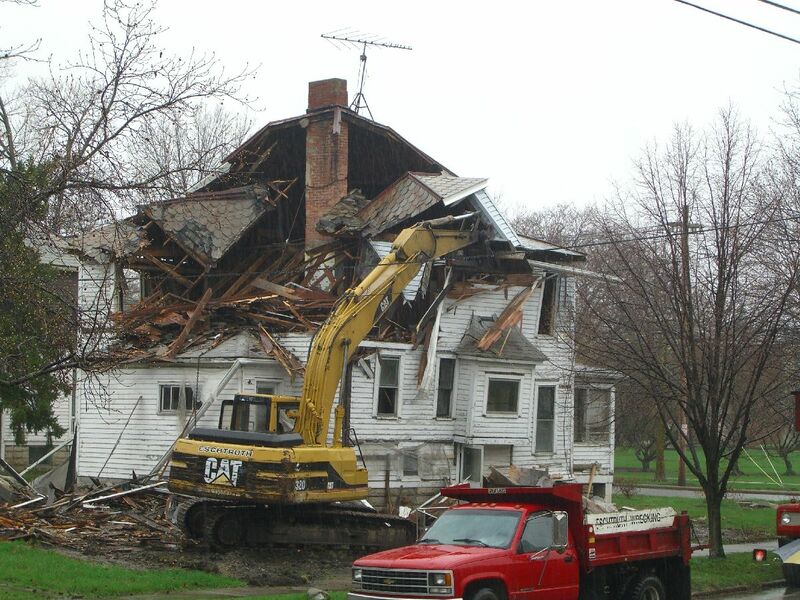 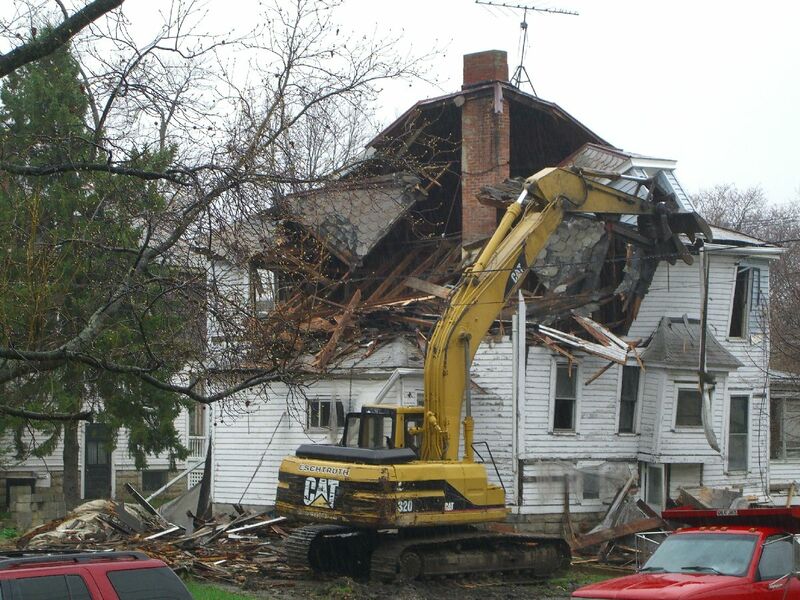 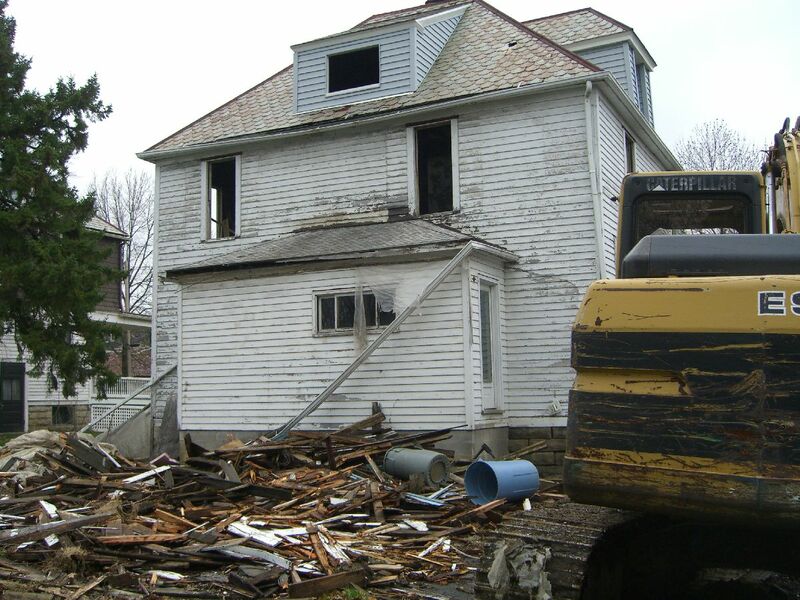 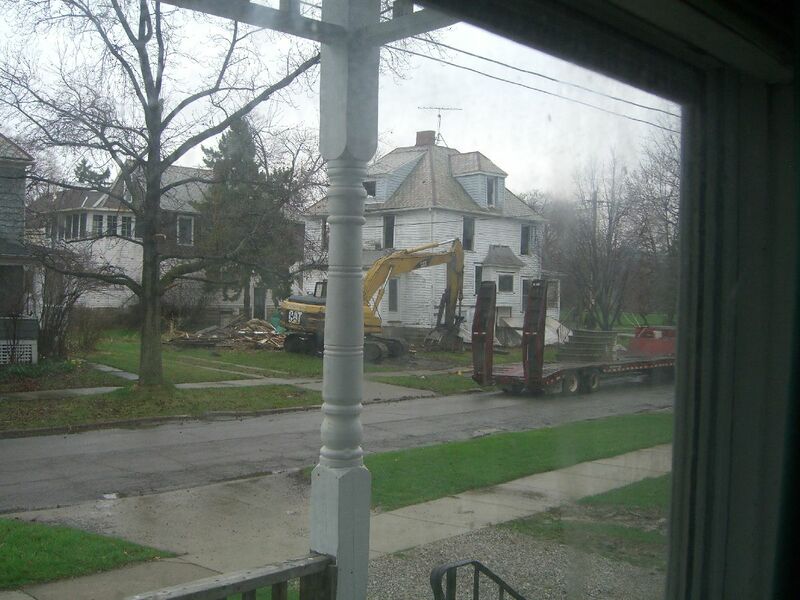 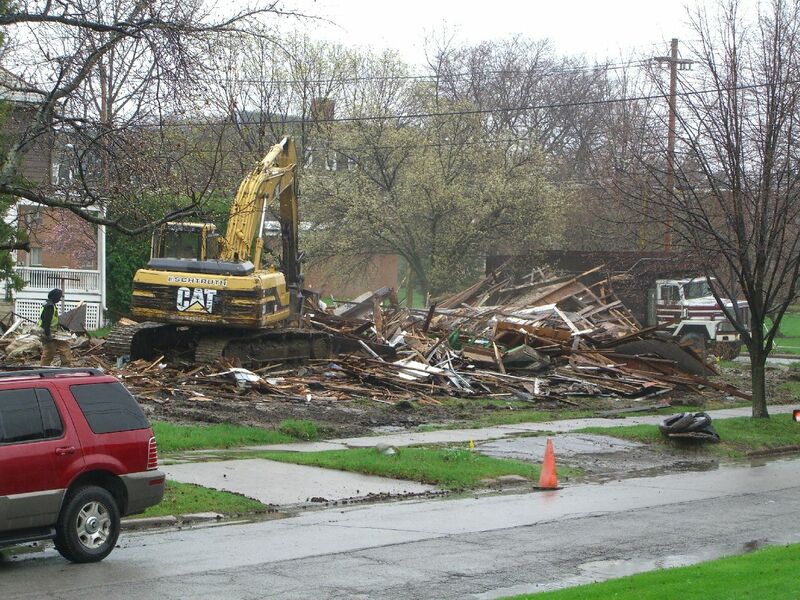 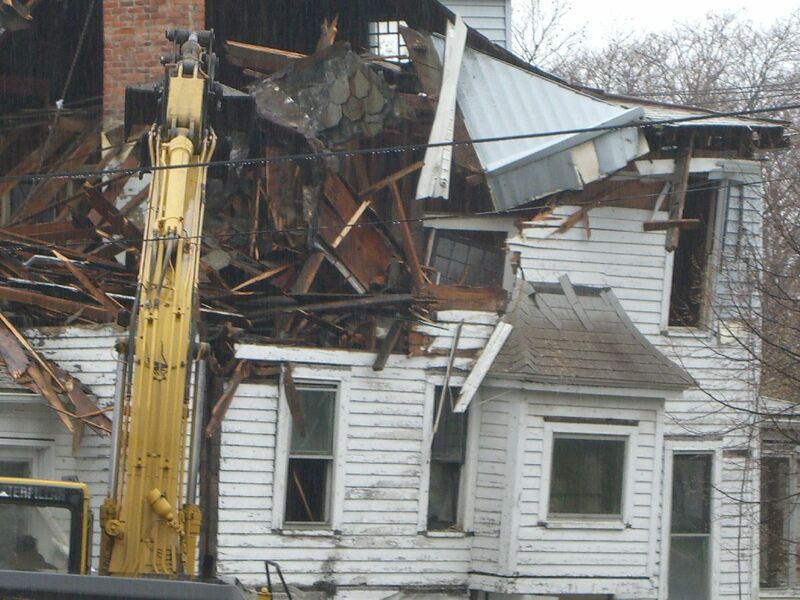 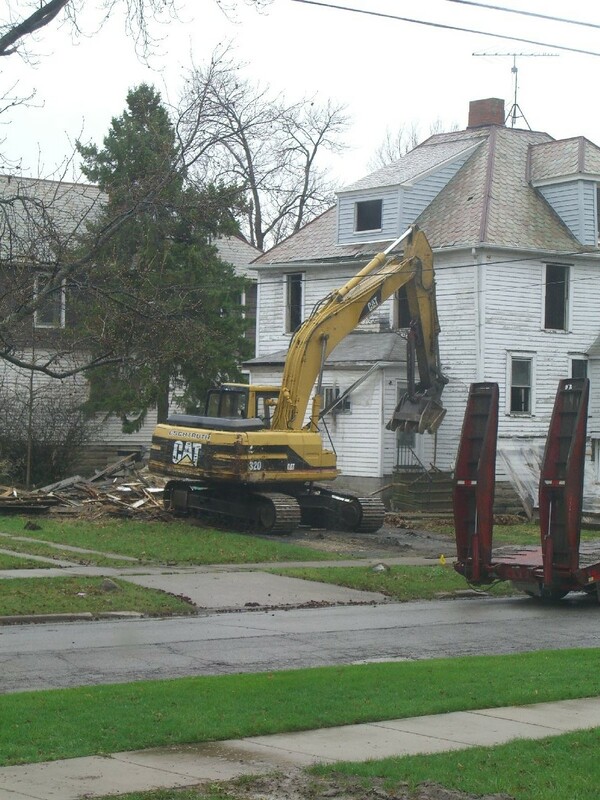 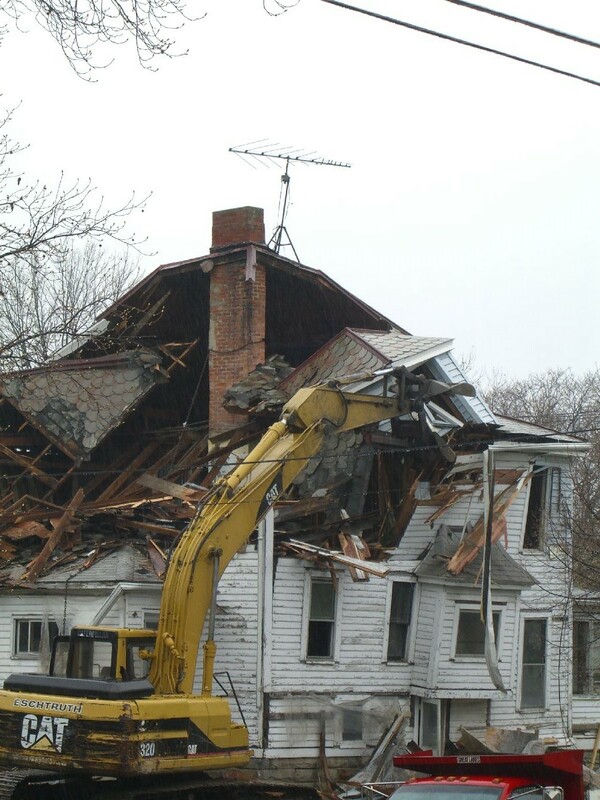 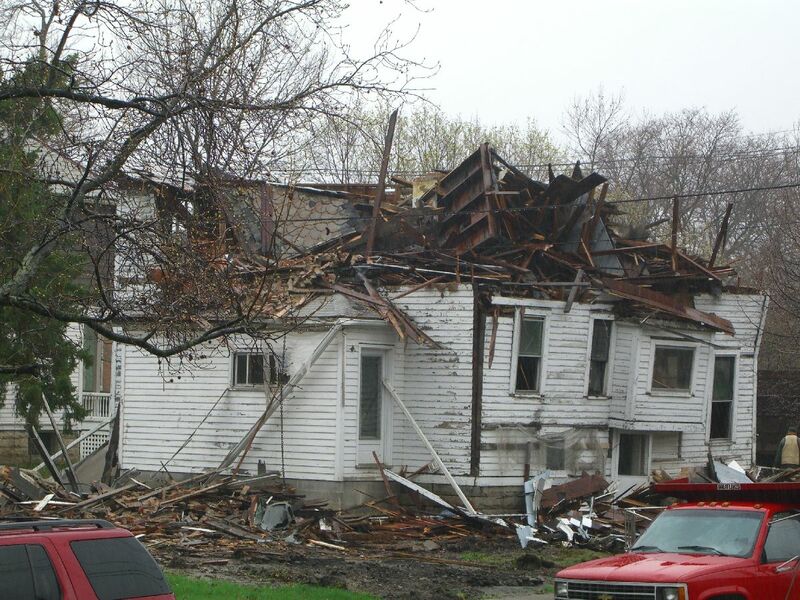 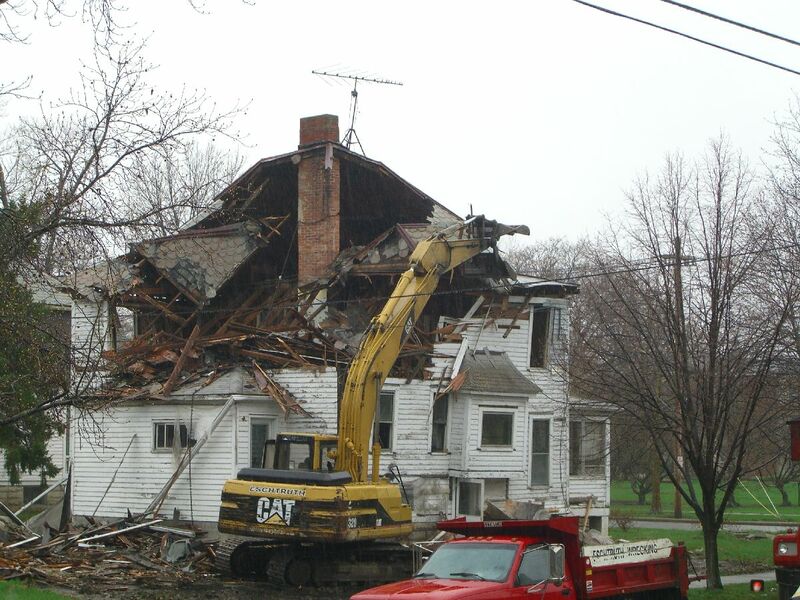 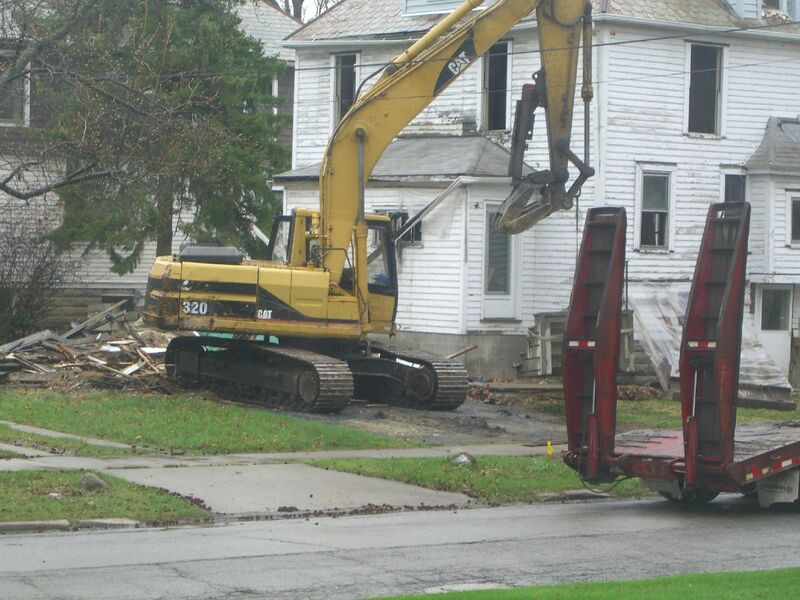 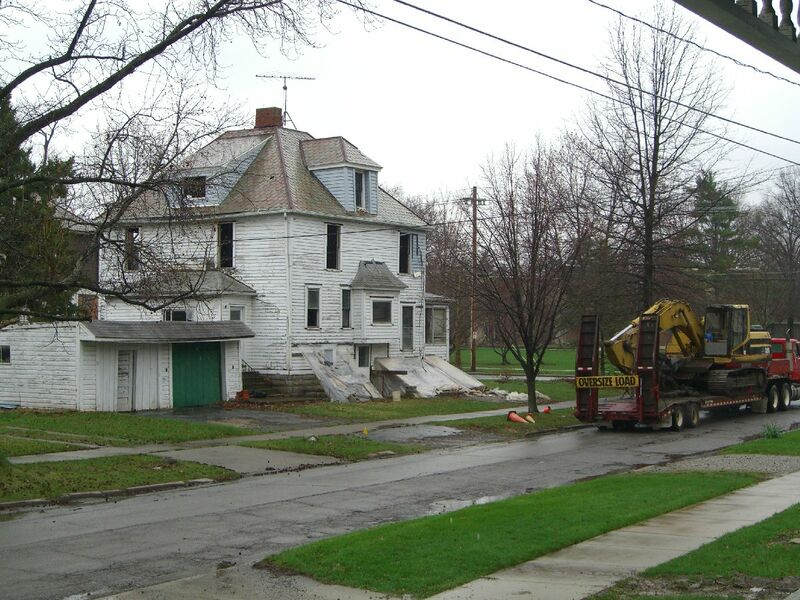 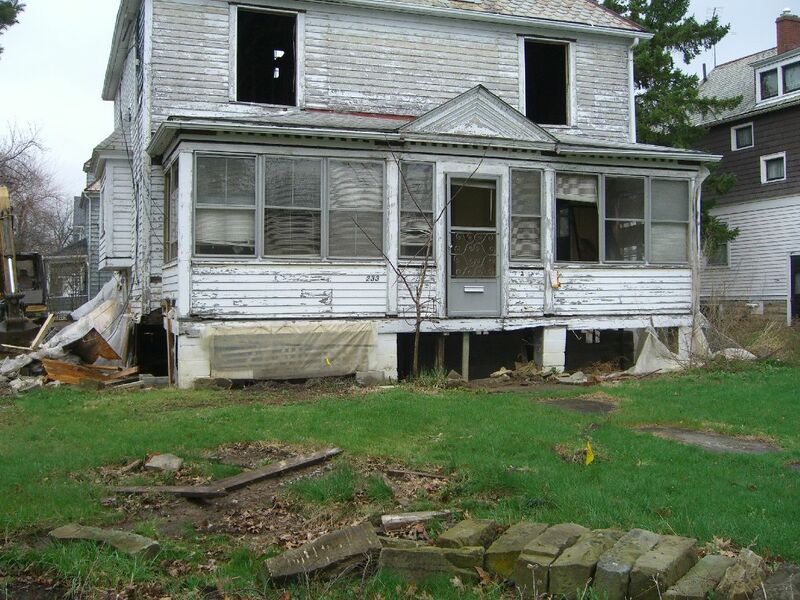 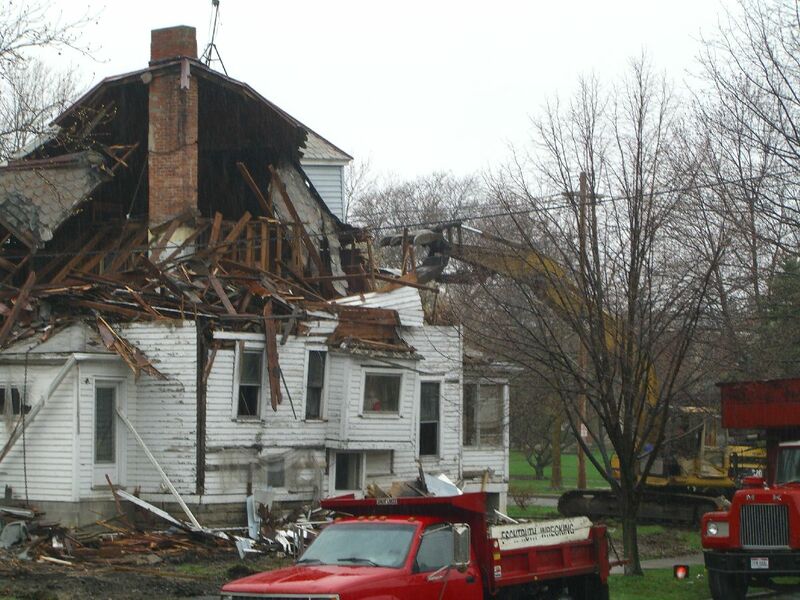 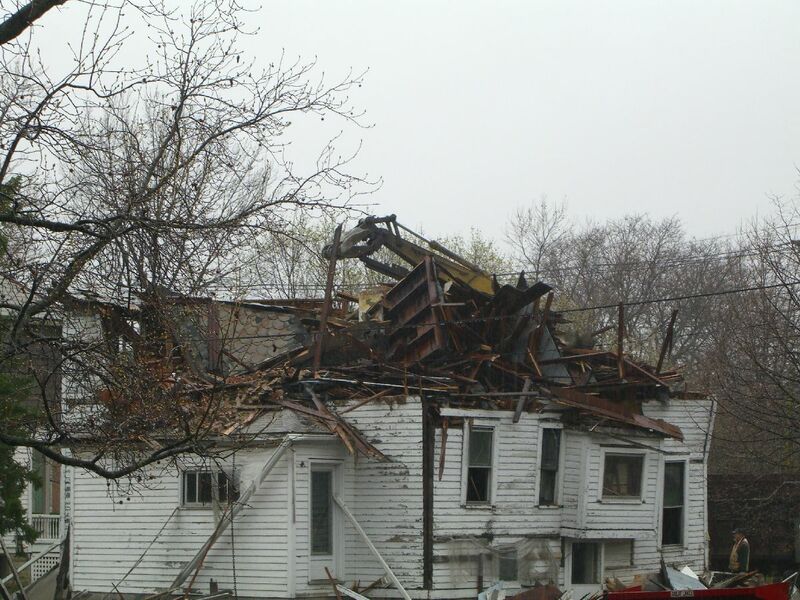 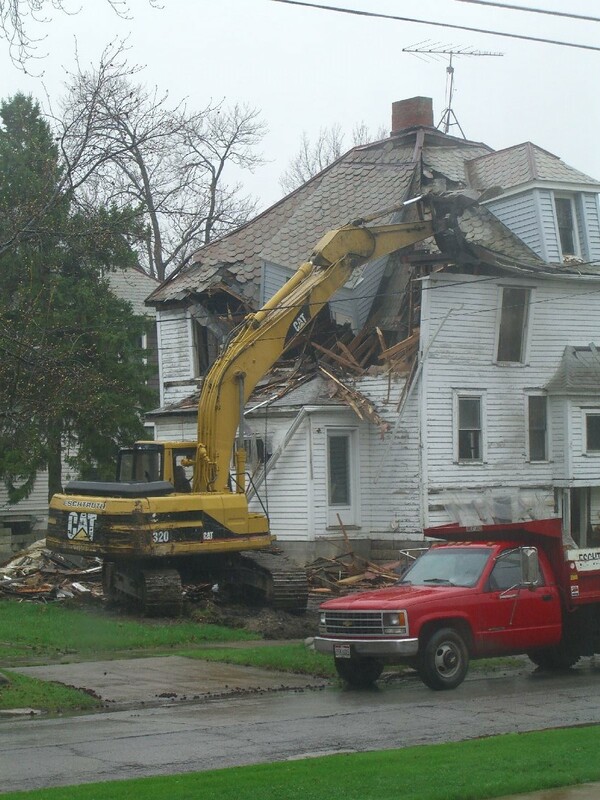 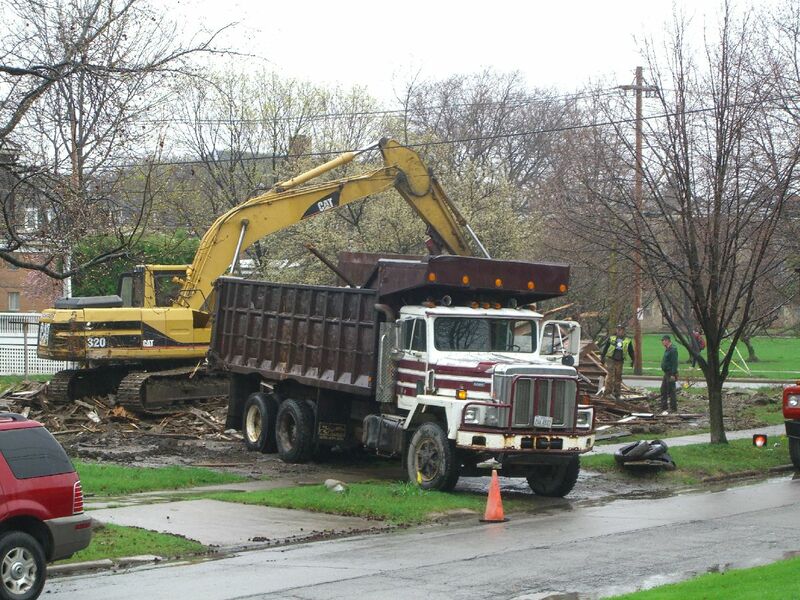 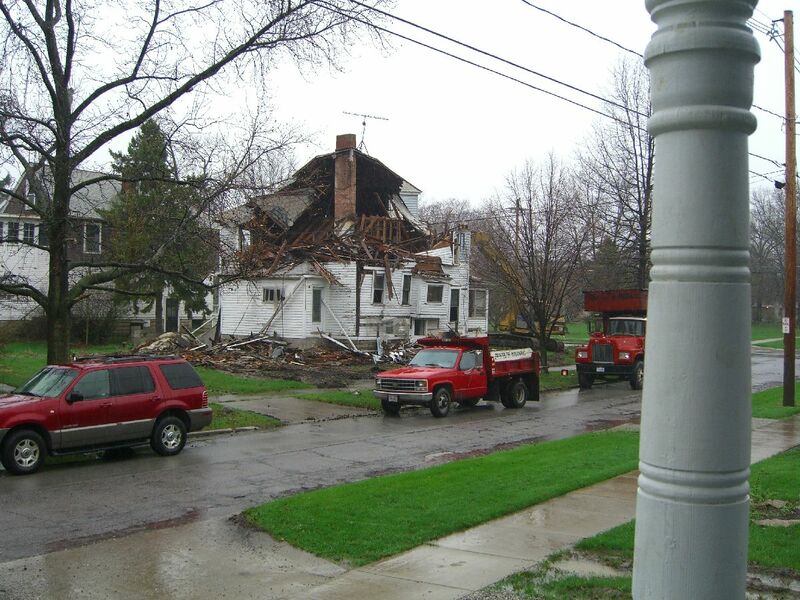 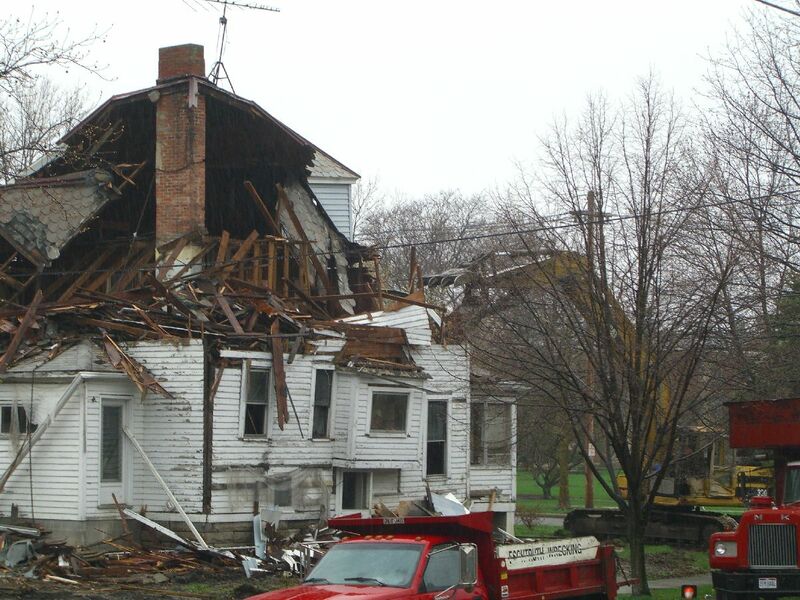 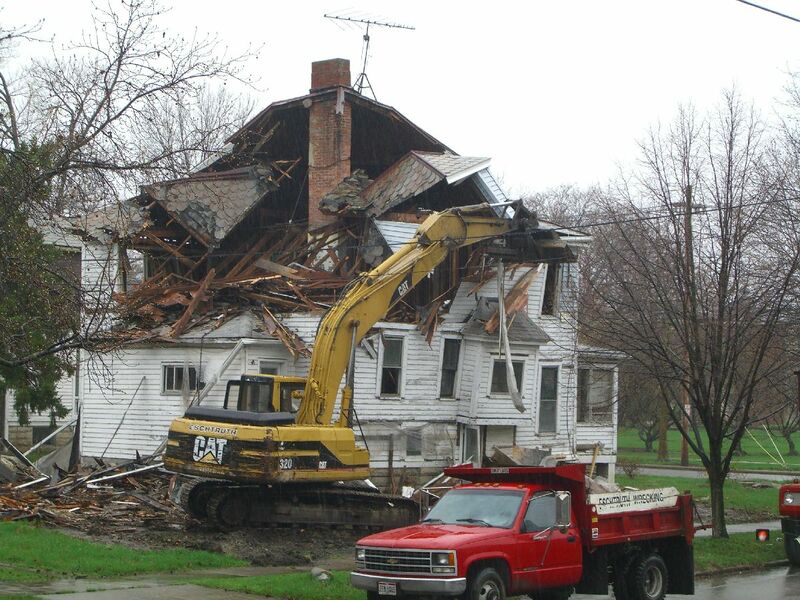 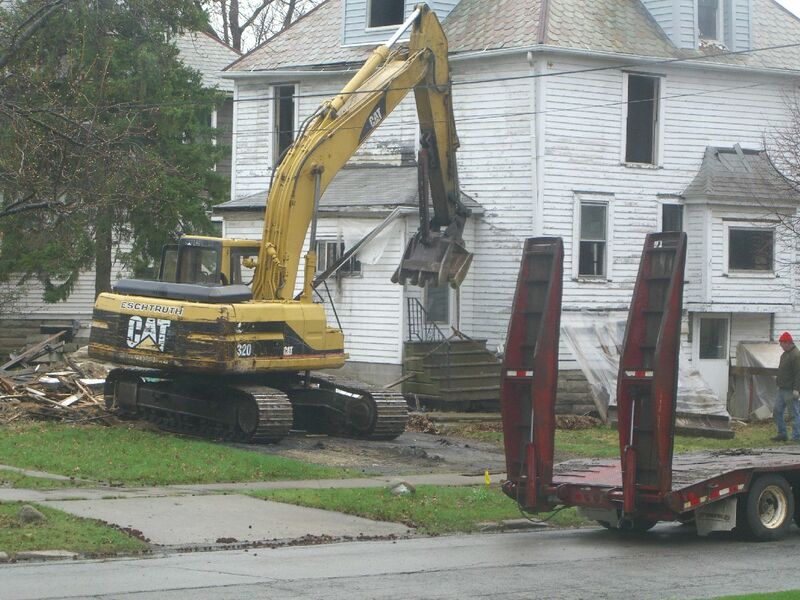 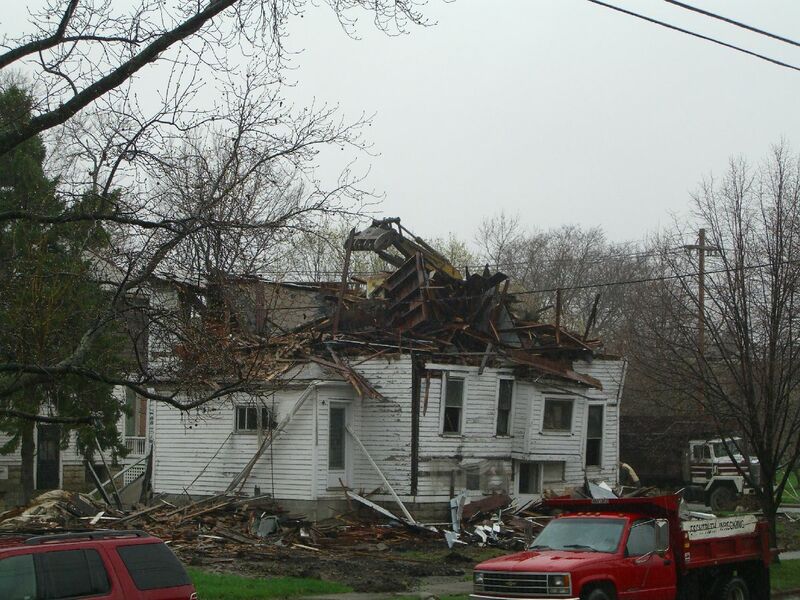 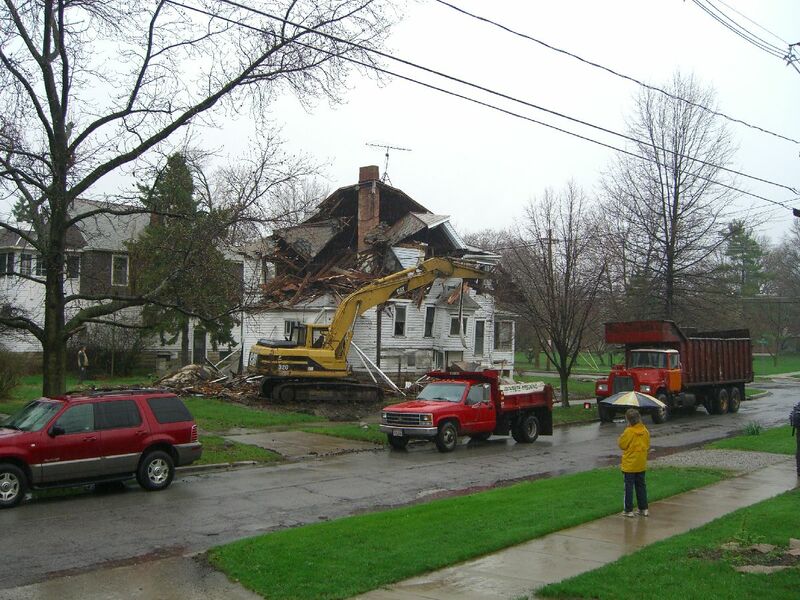 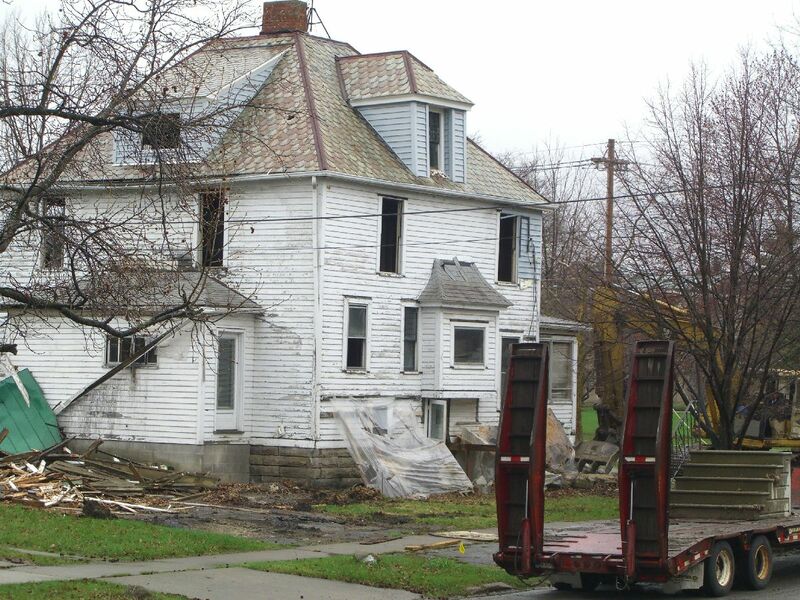 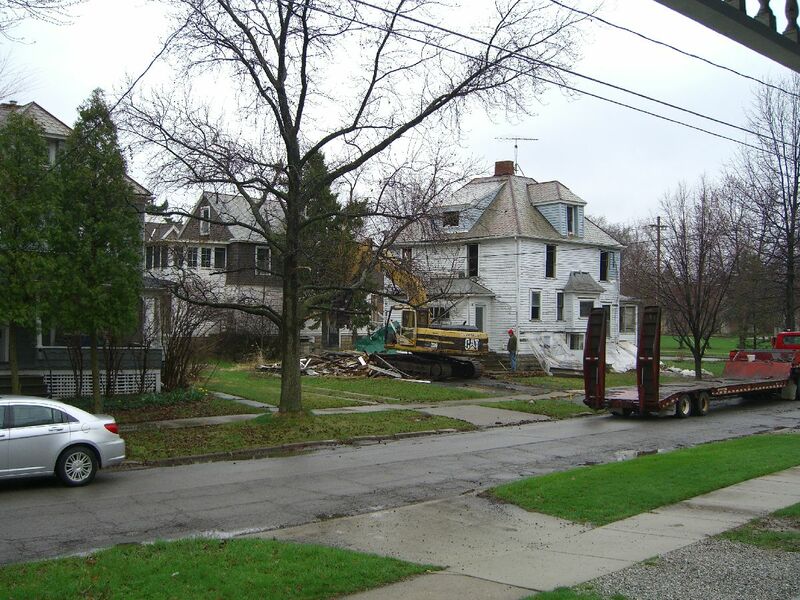 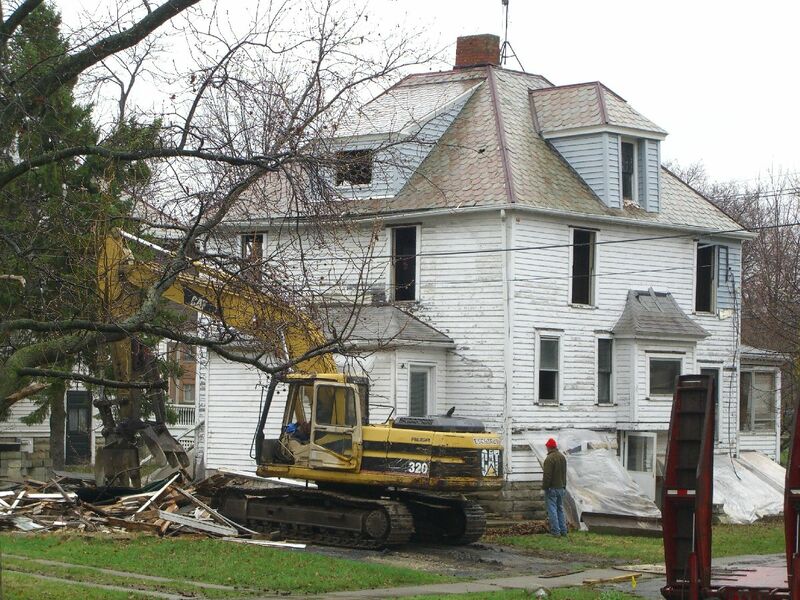 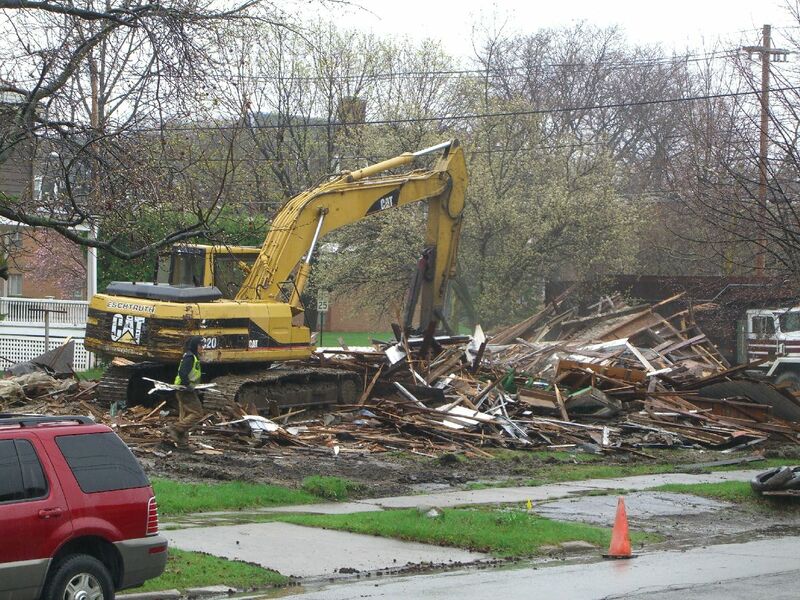 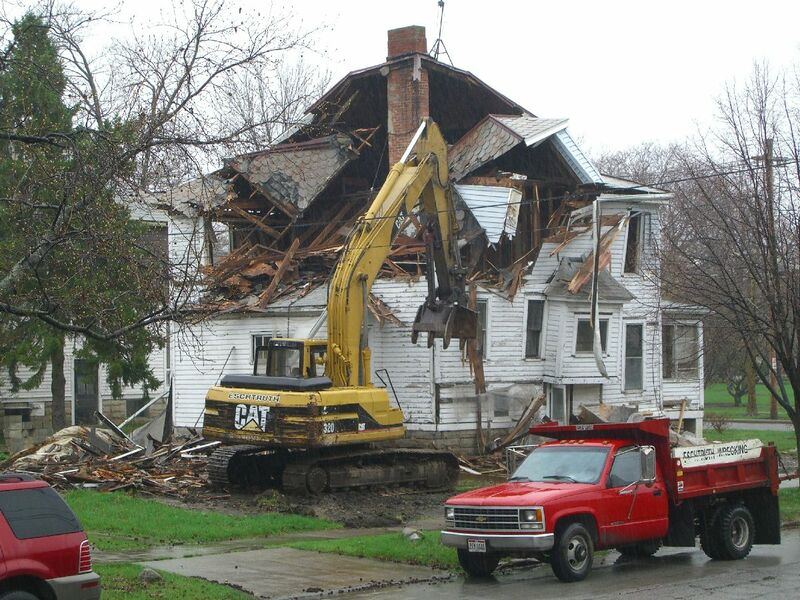 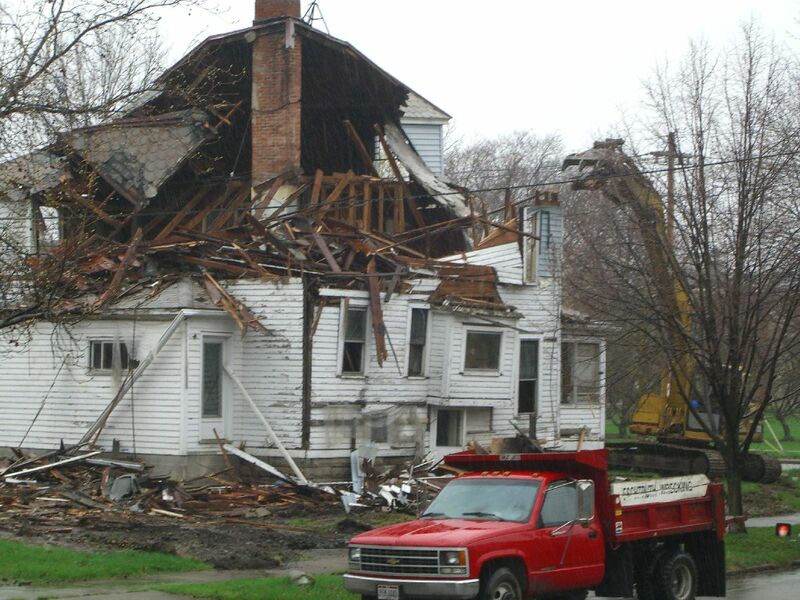 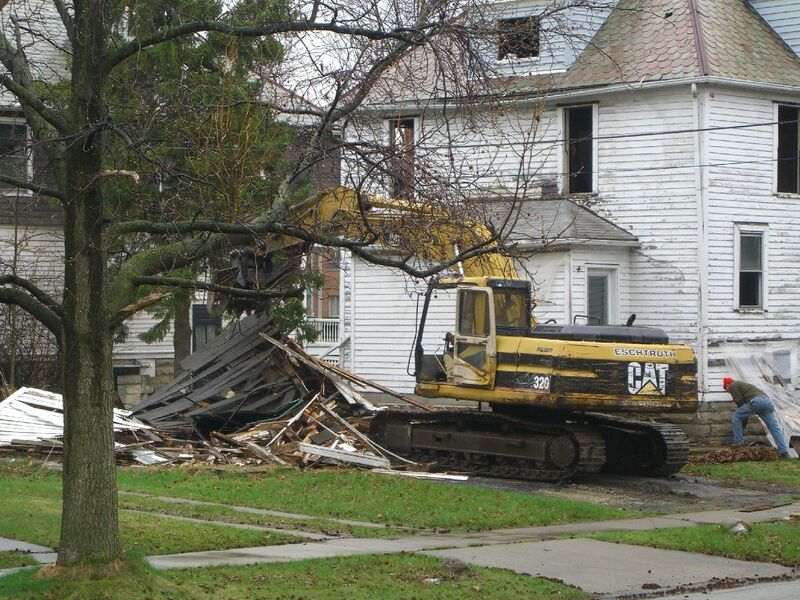 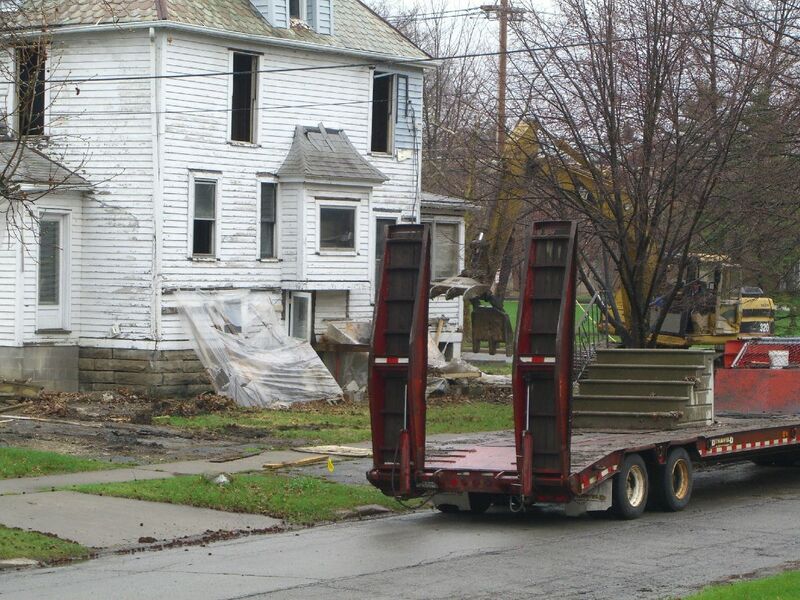 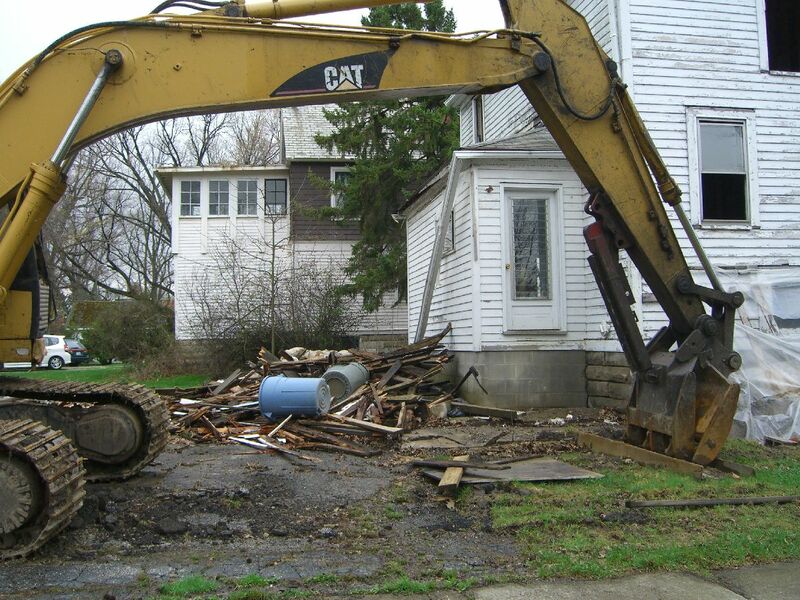 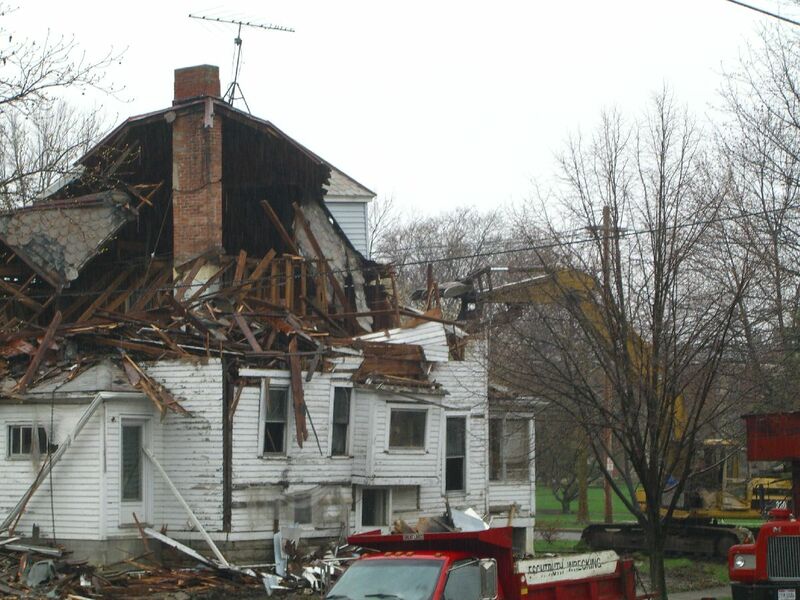 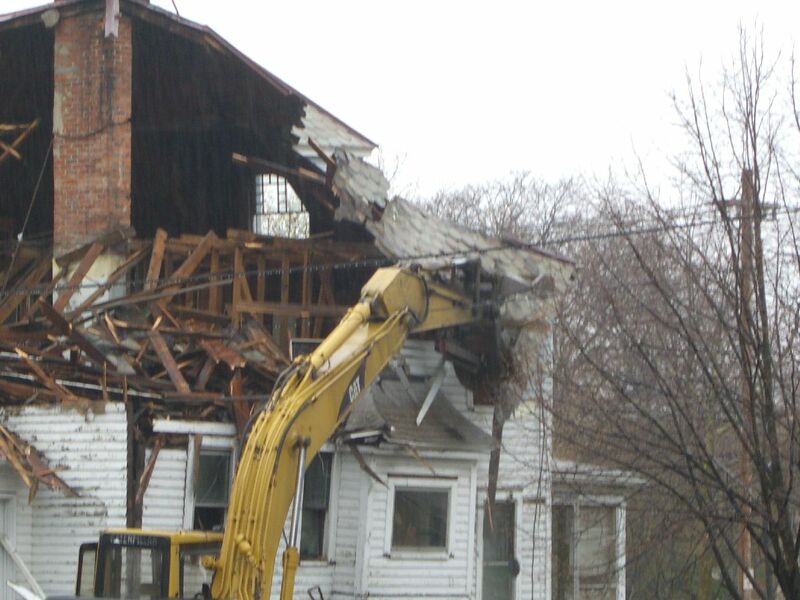 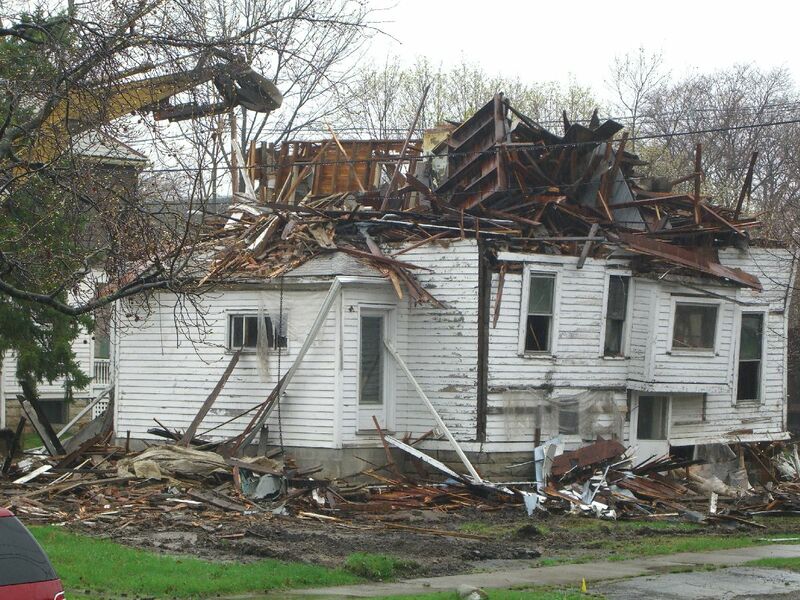 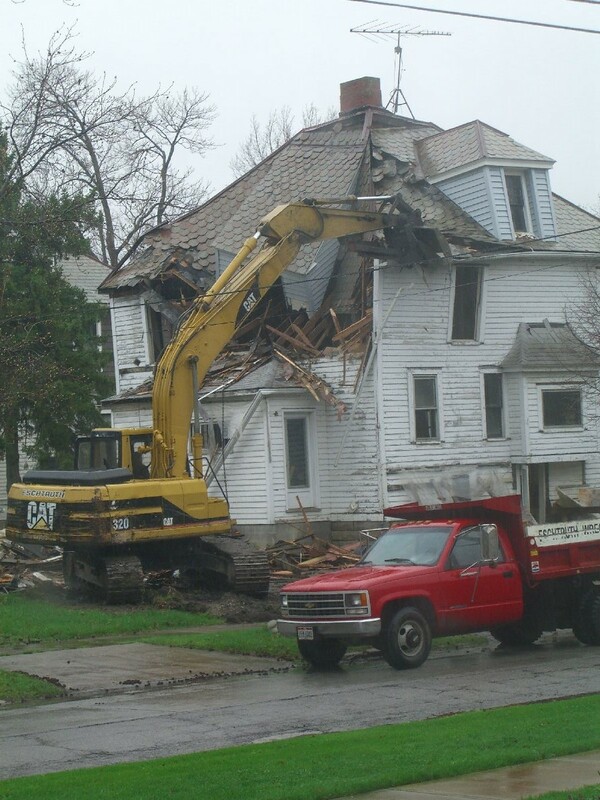 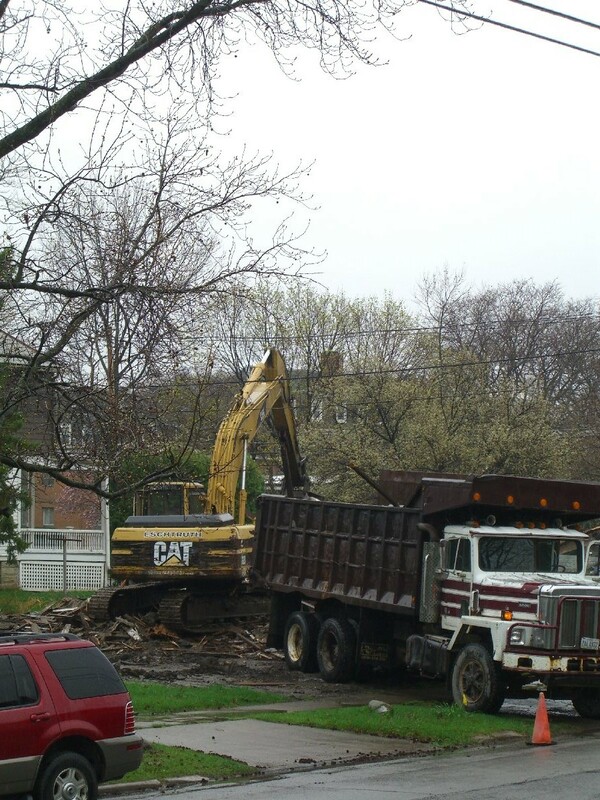 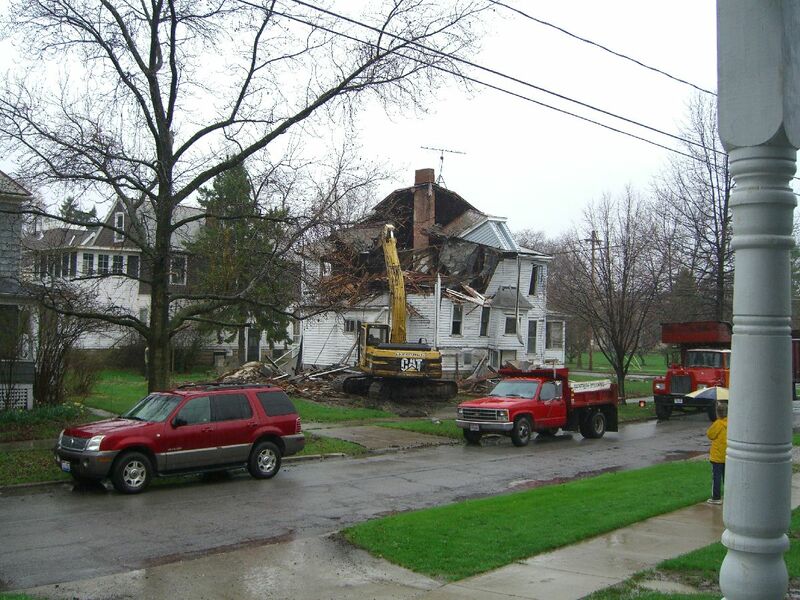 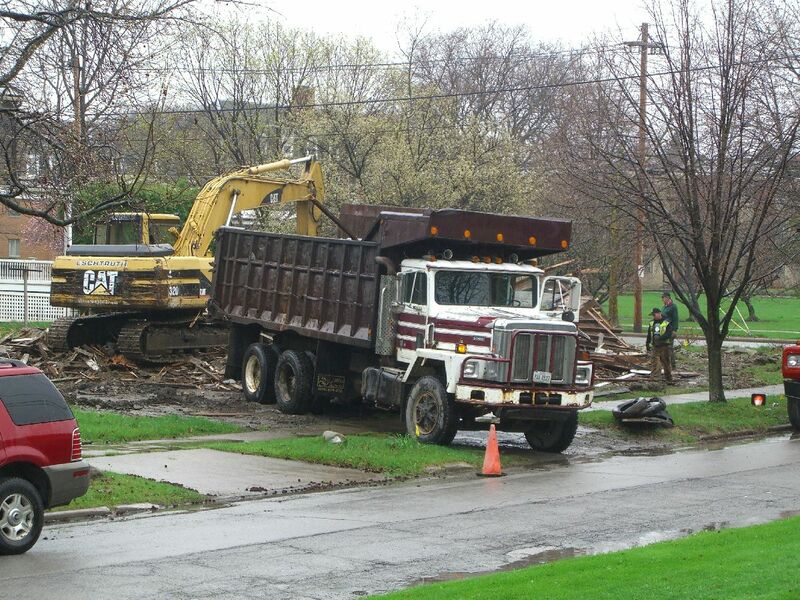 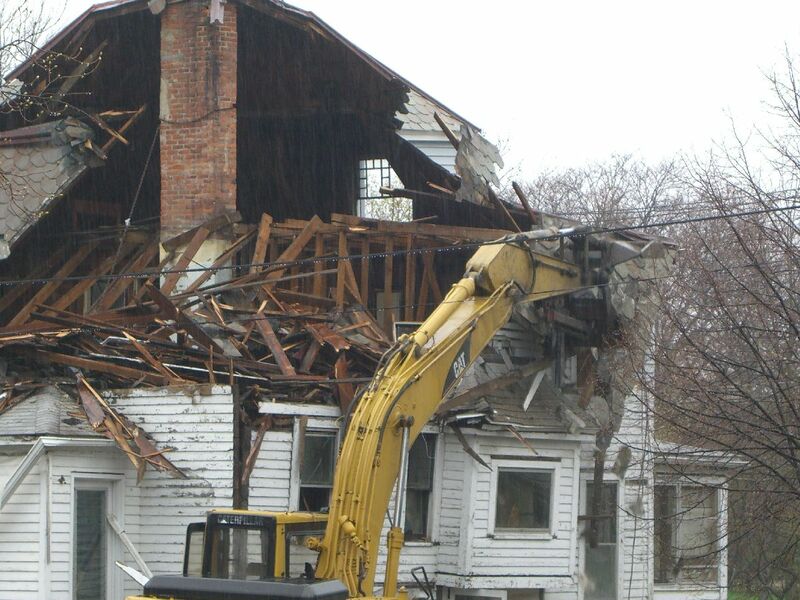 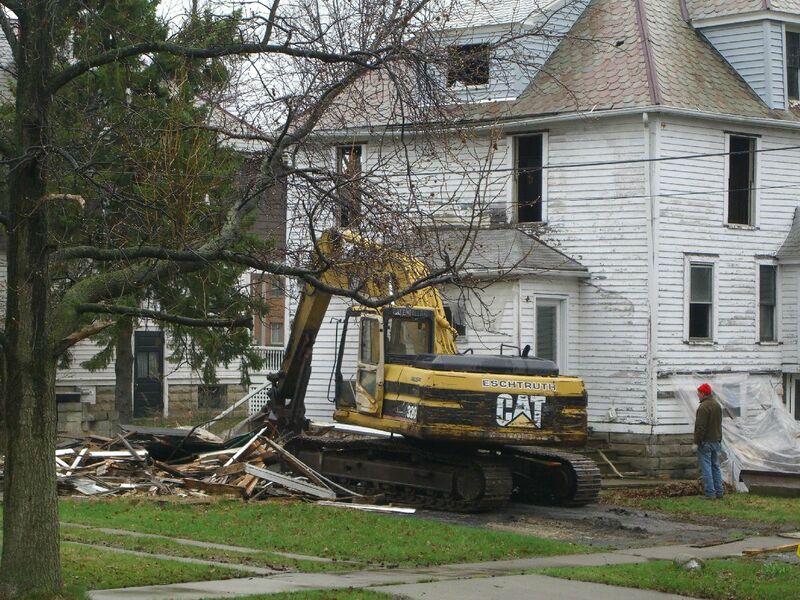 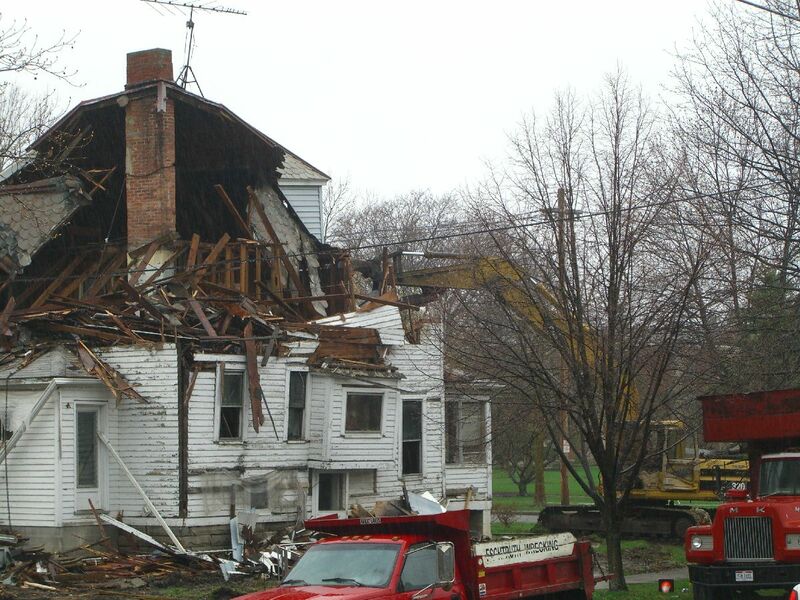 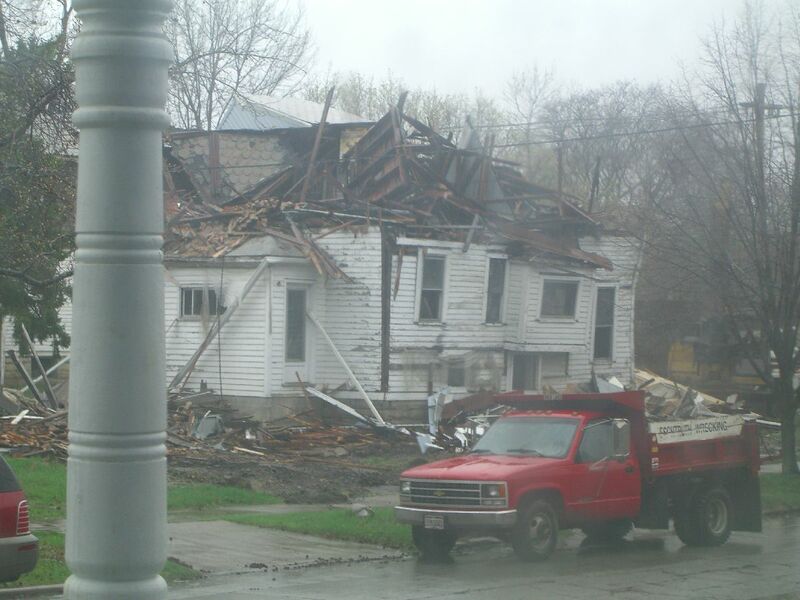 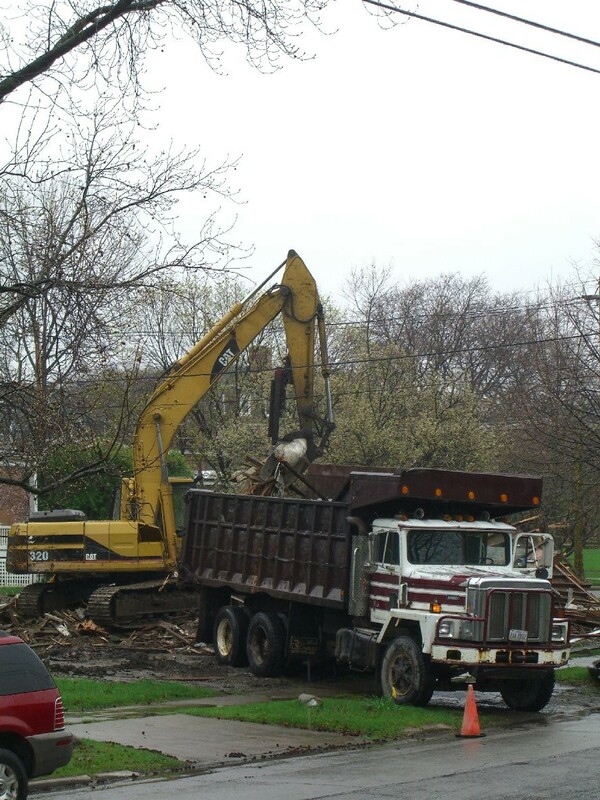 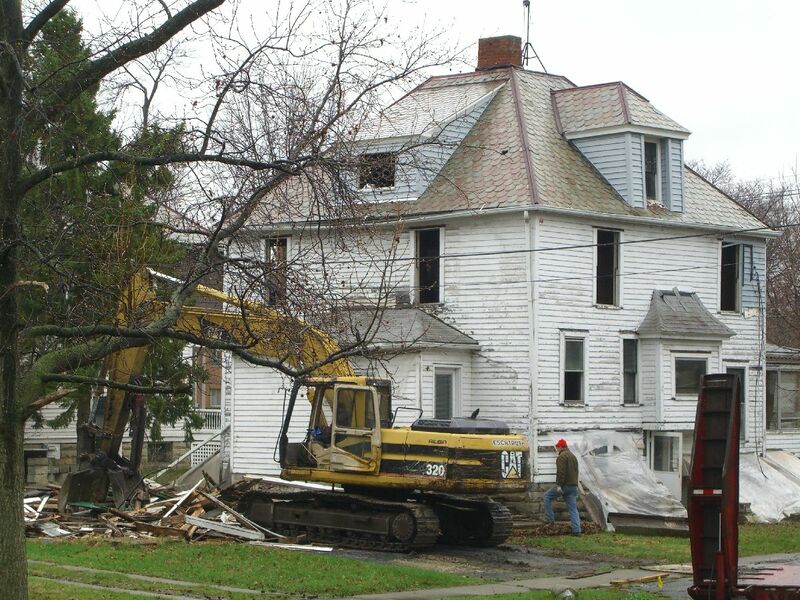 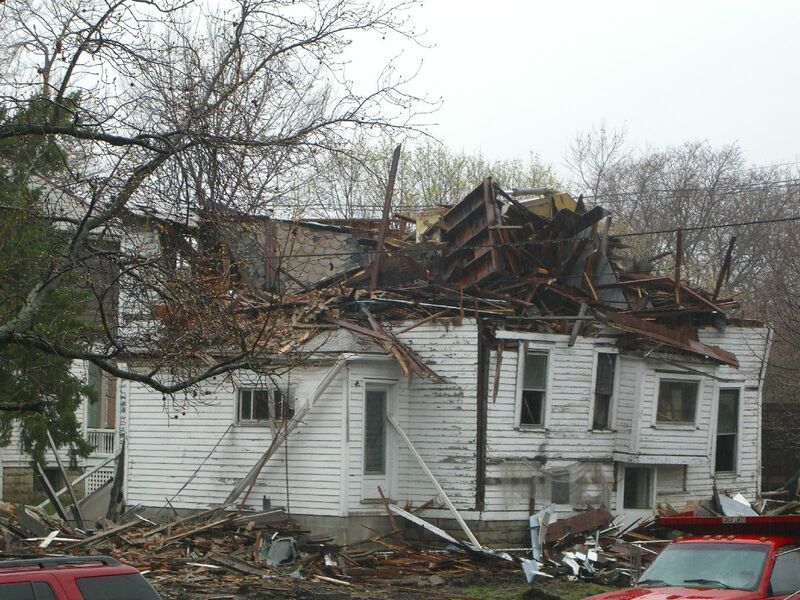 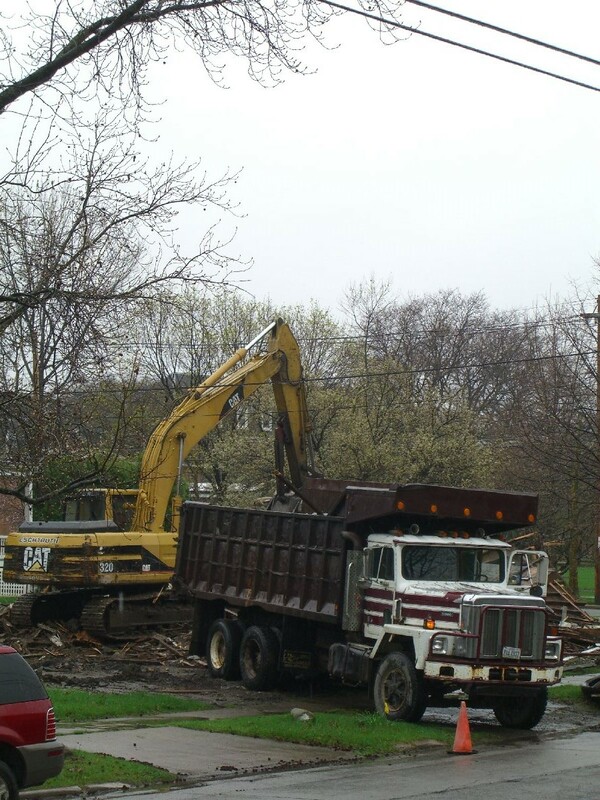 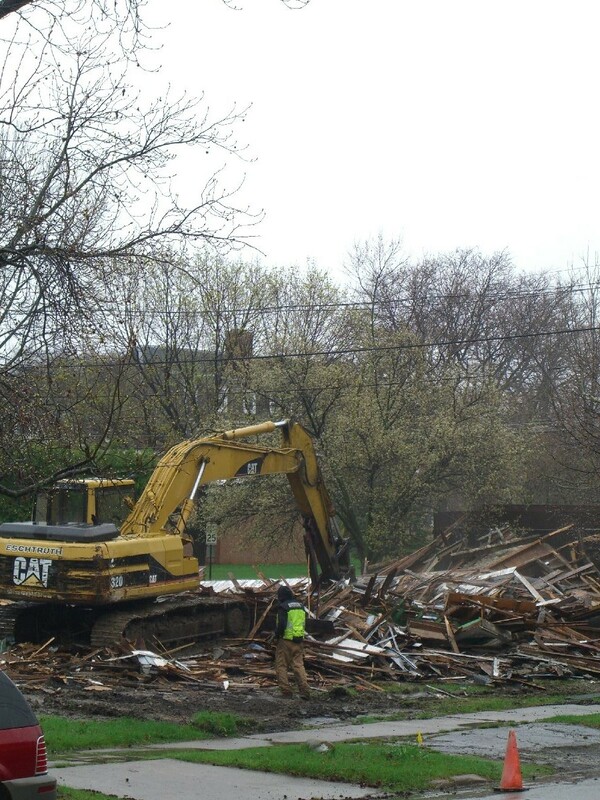 It, and a half dozen or more houses around town, was taken down using Recovery Act dollars. 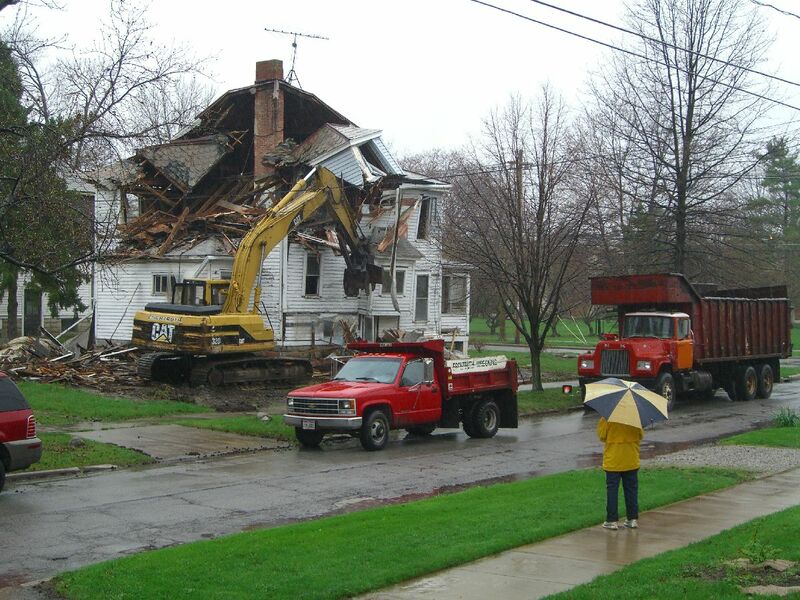 Bruce around the corner, me, and a few others managed to salvage some usable materials before the demo crew came through – with Joe’s blessing of course – but it was still a shame to see those old, strong, straight beams get torn apart and tossed into dump trucks.